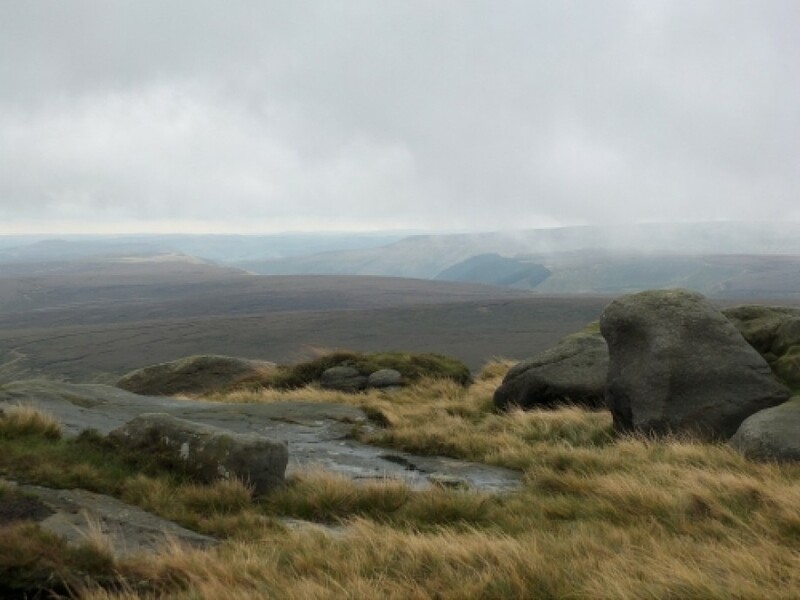 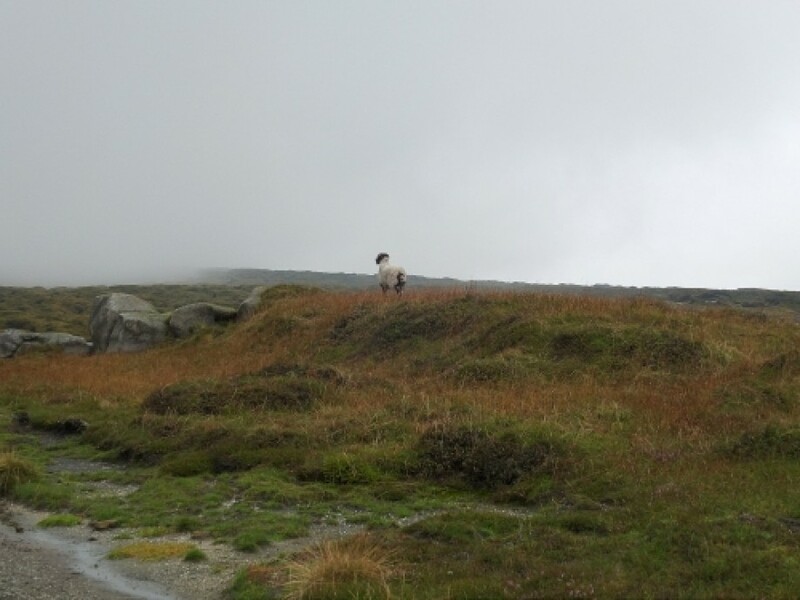 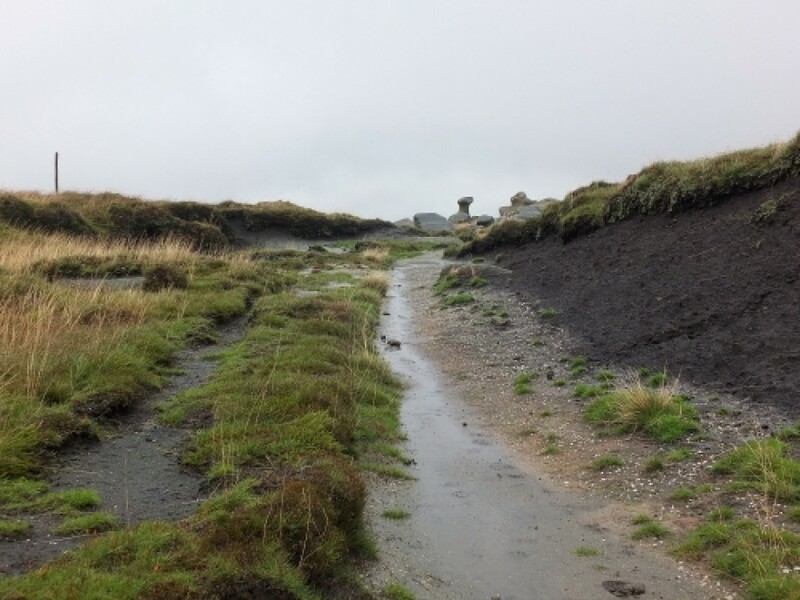 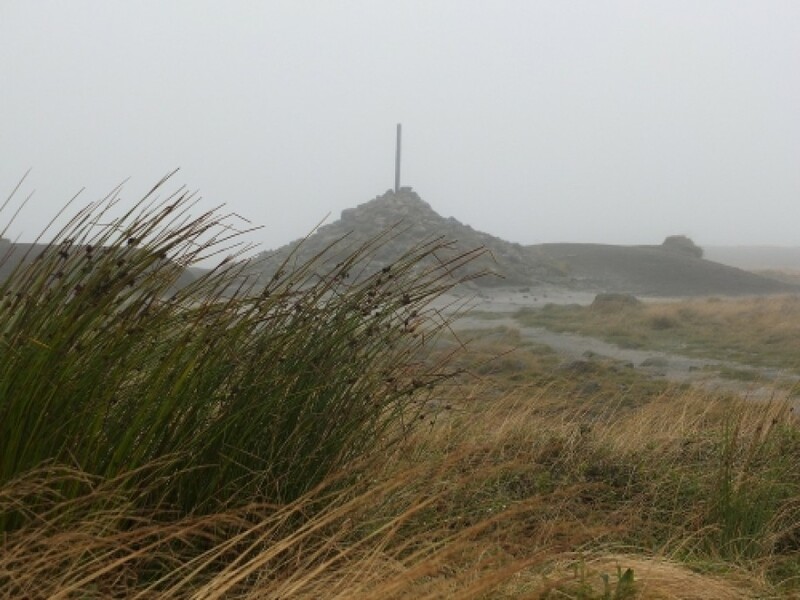 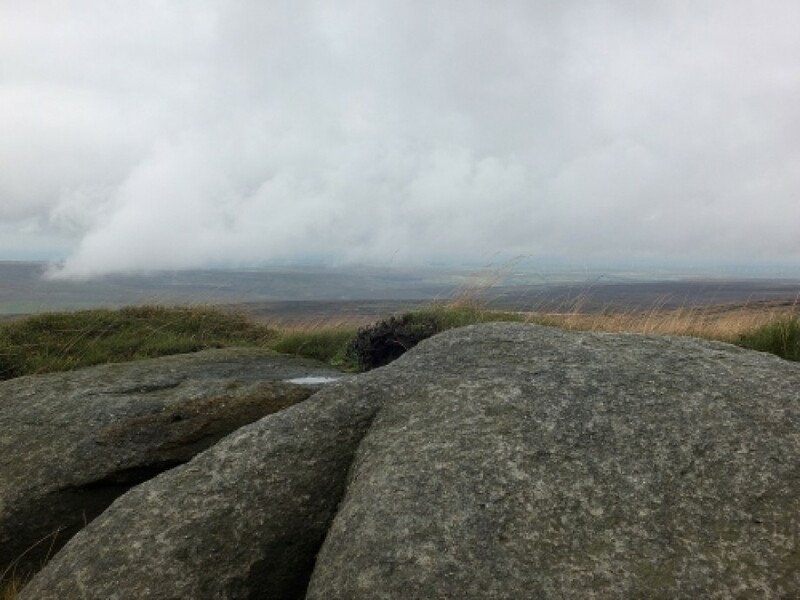 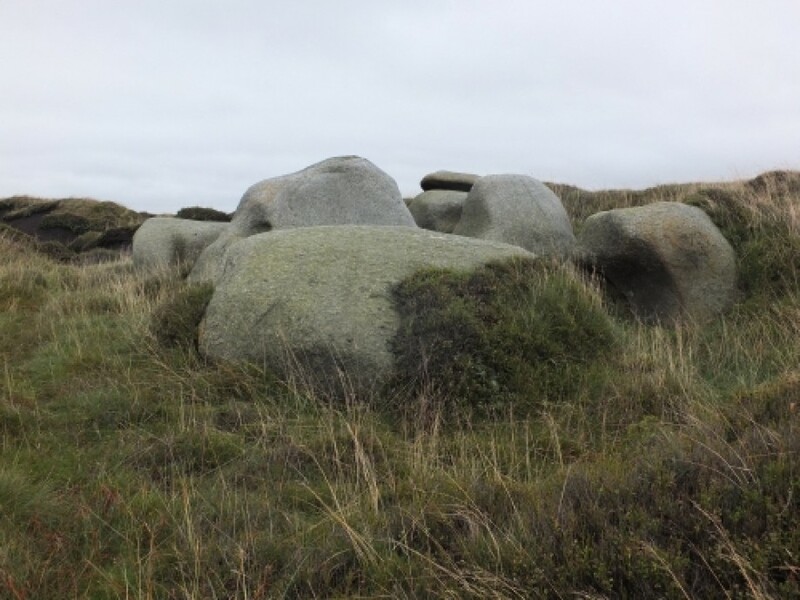 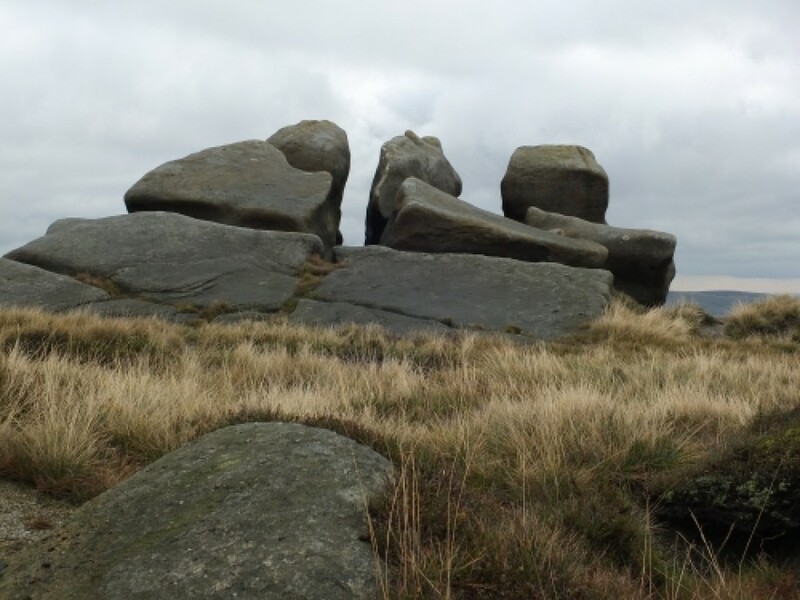 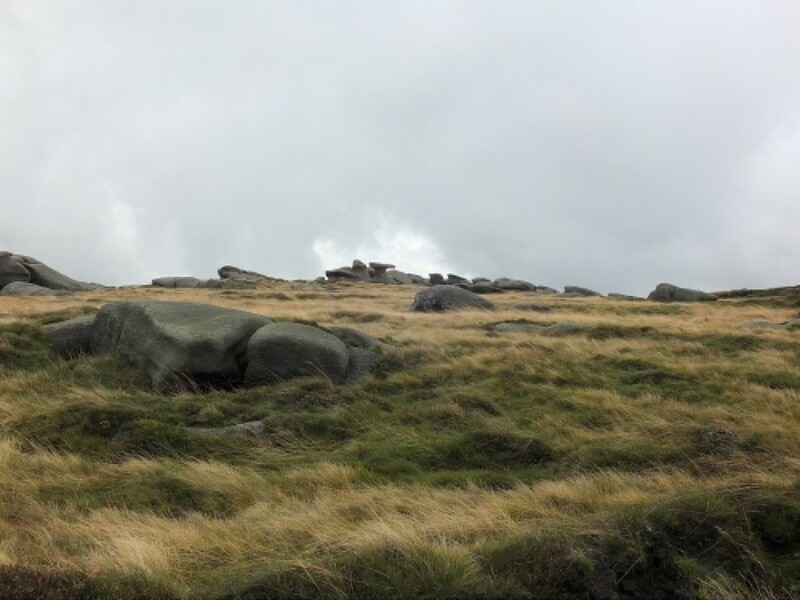 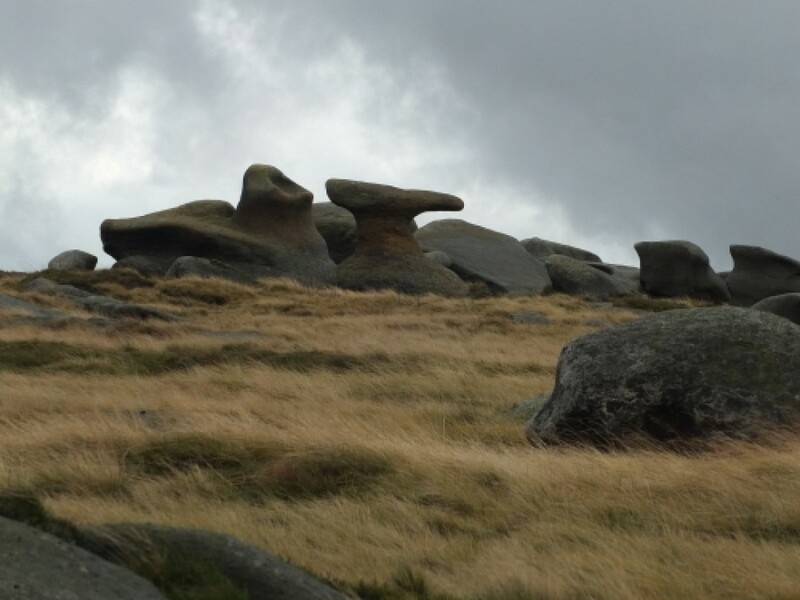 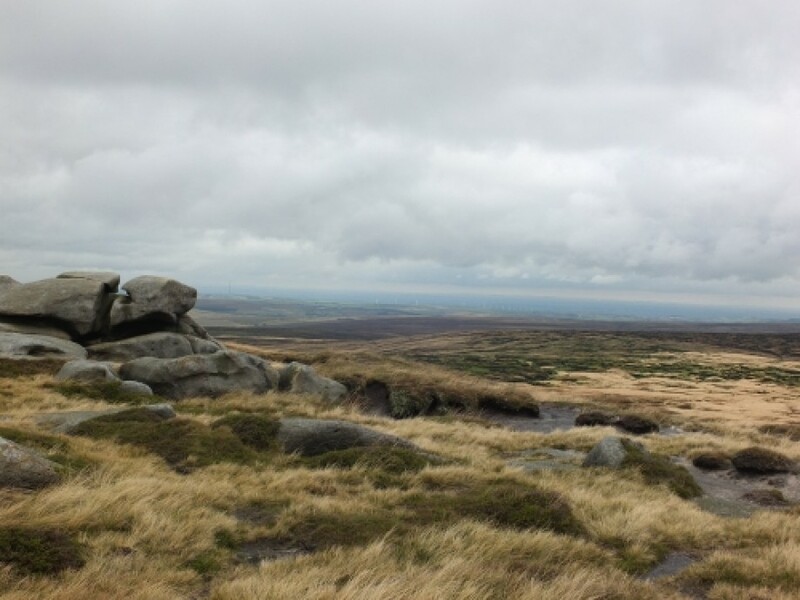 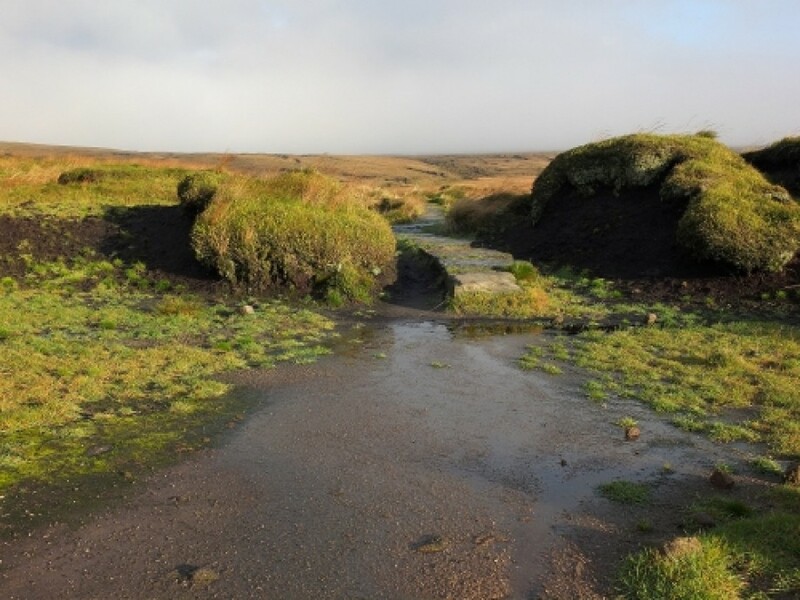 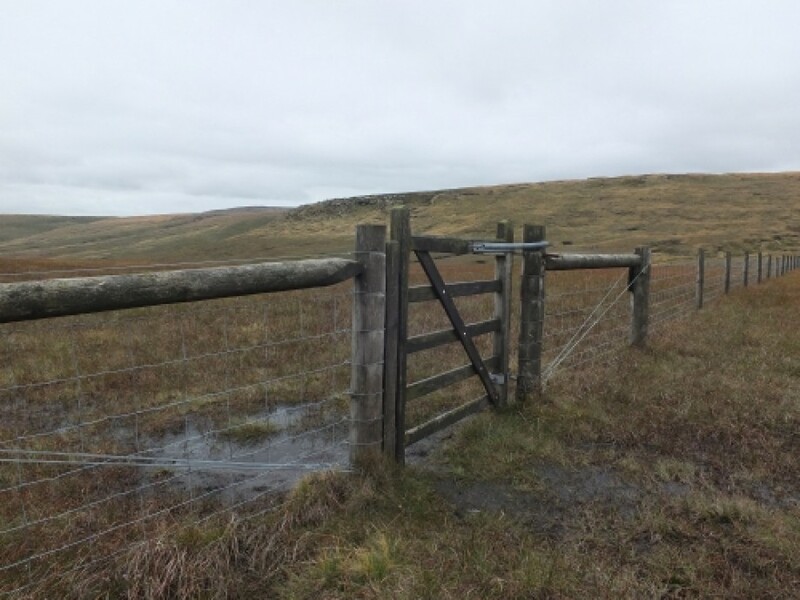 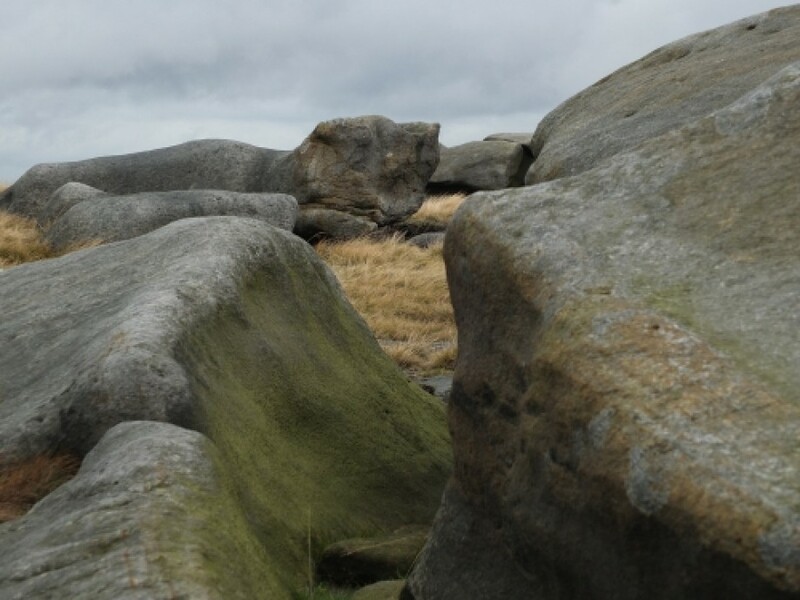 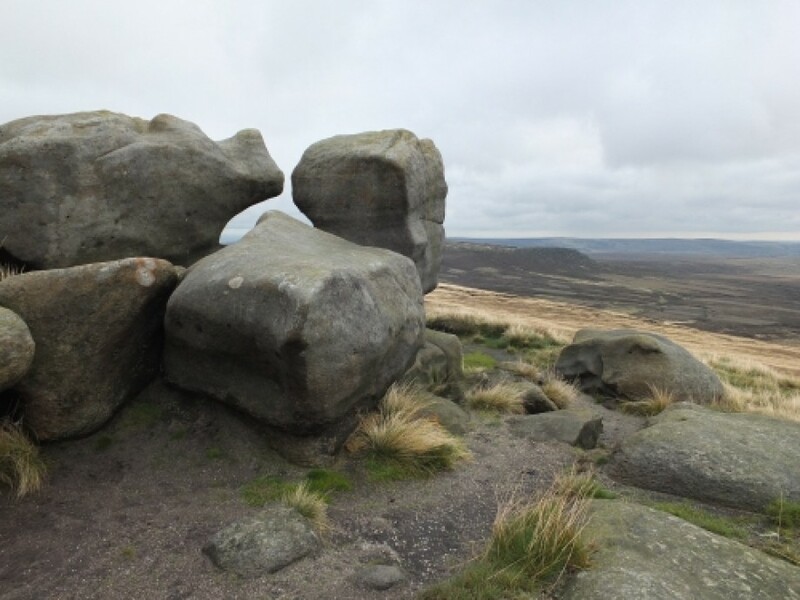 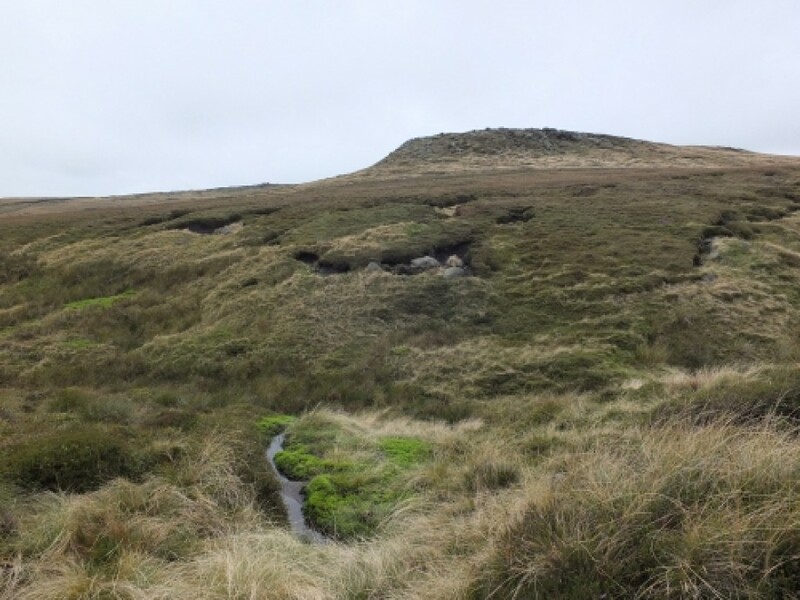 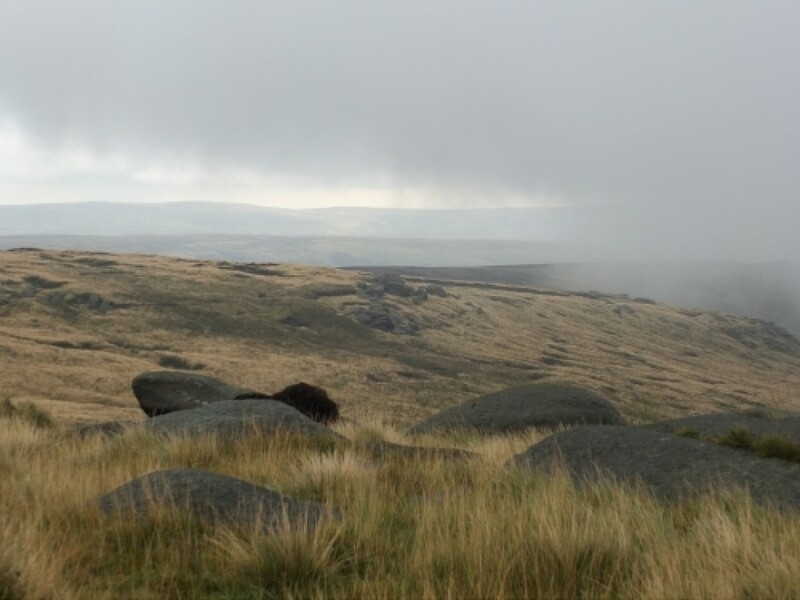 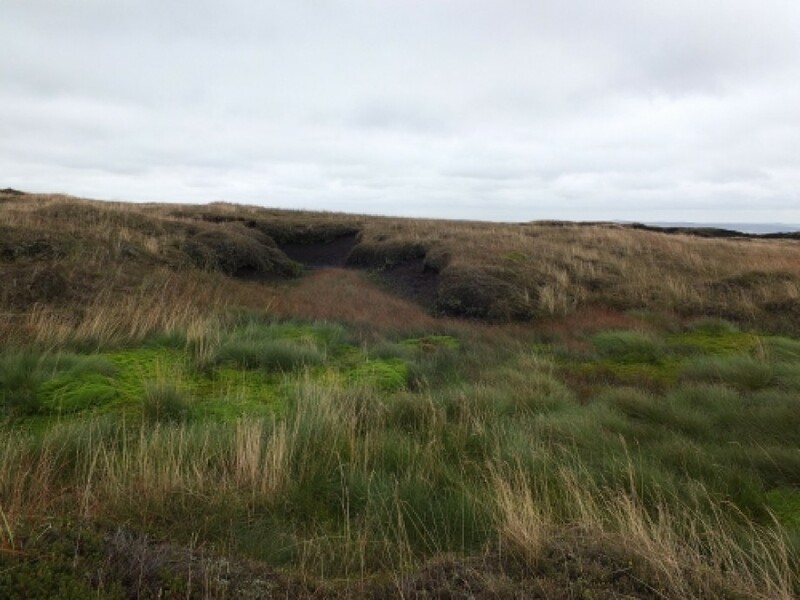 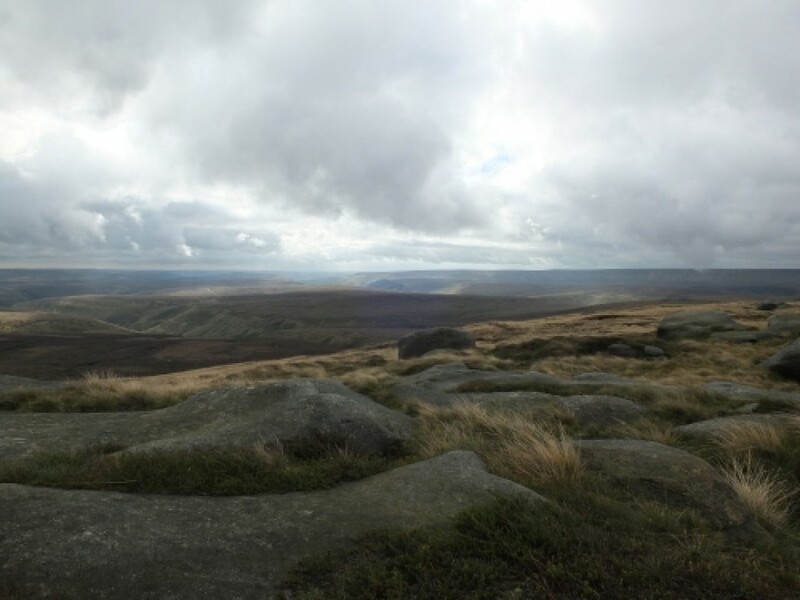 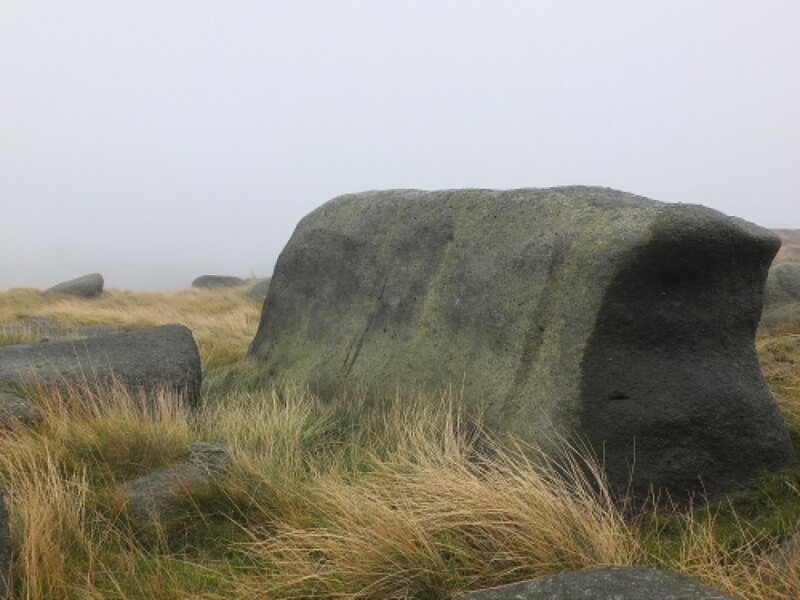 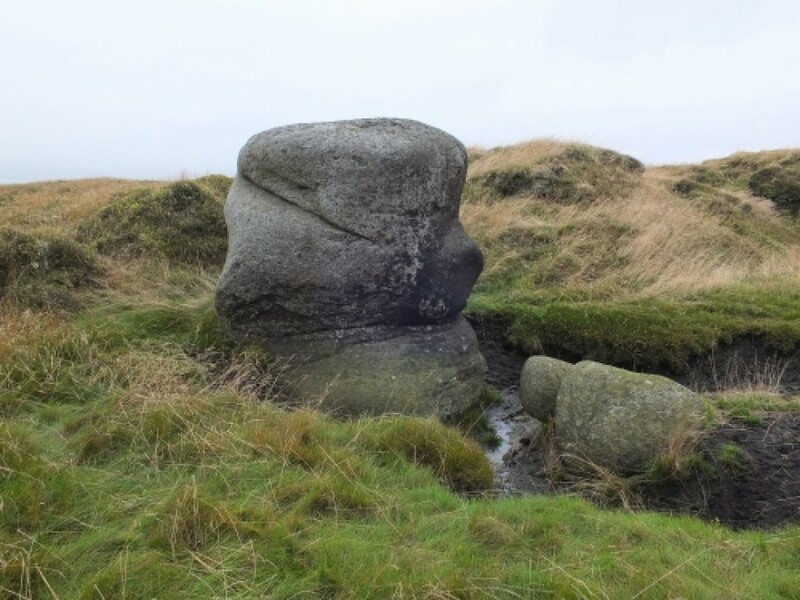 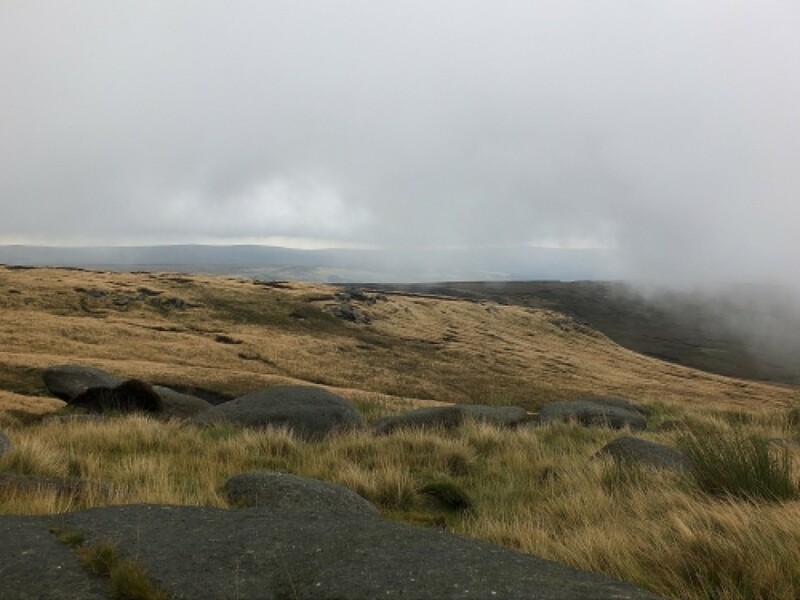 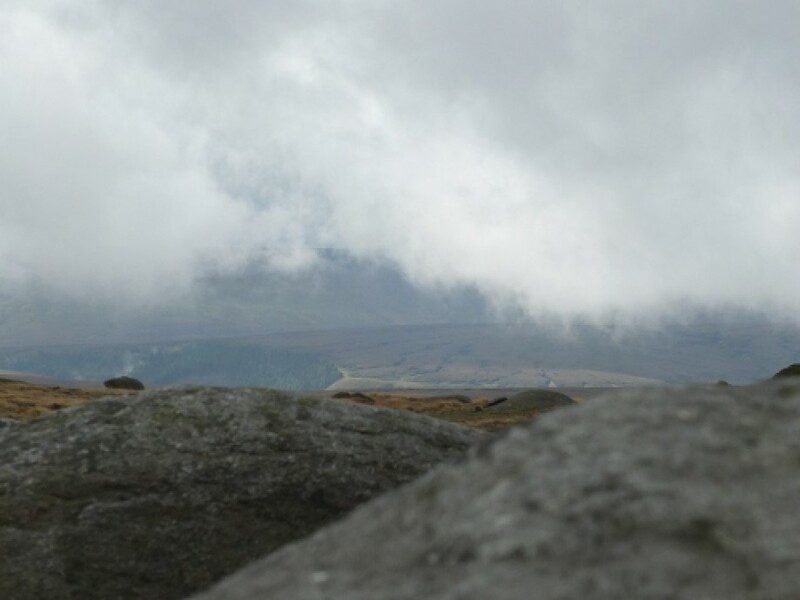 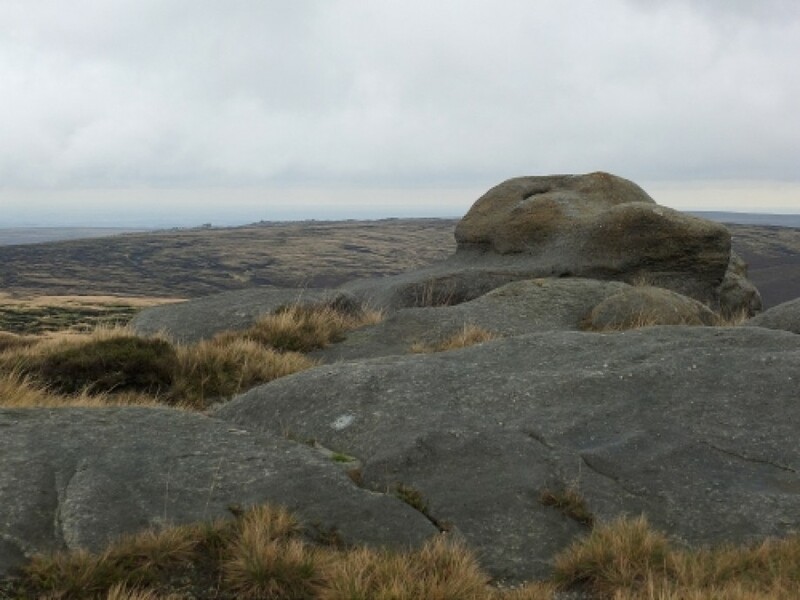 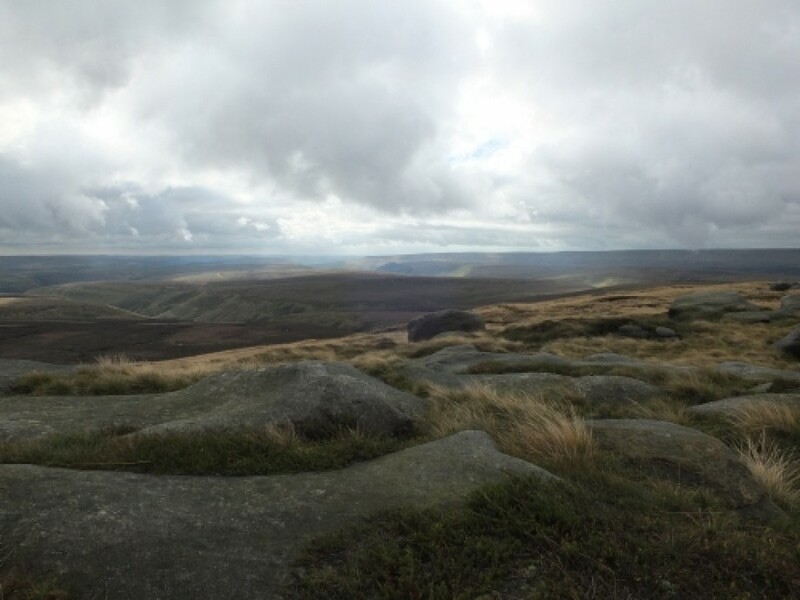 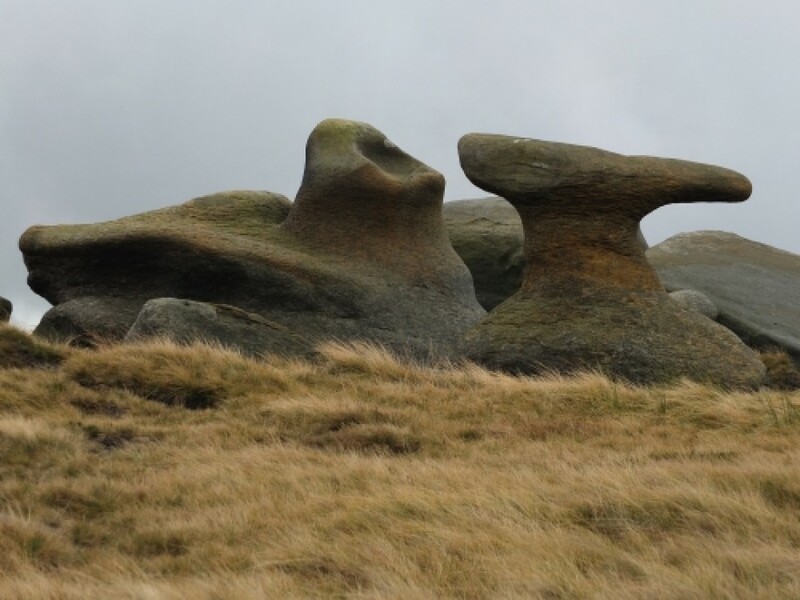 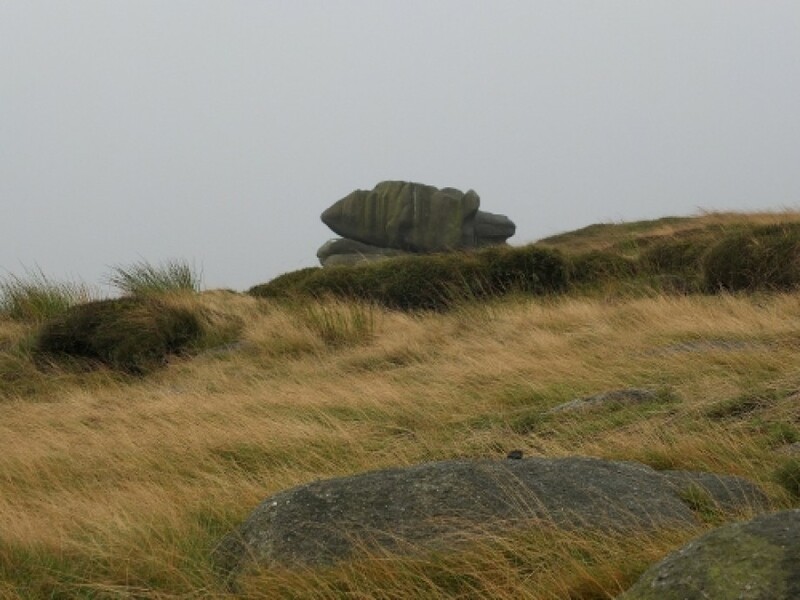 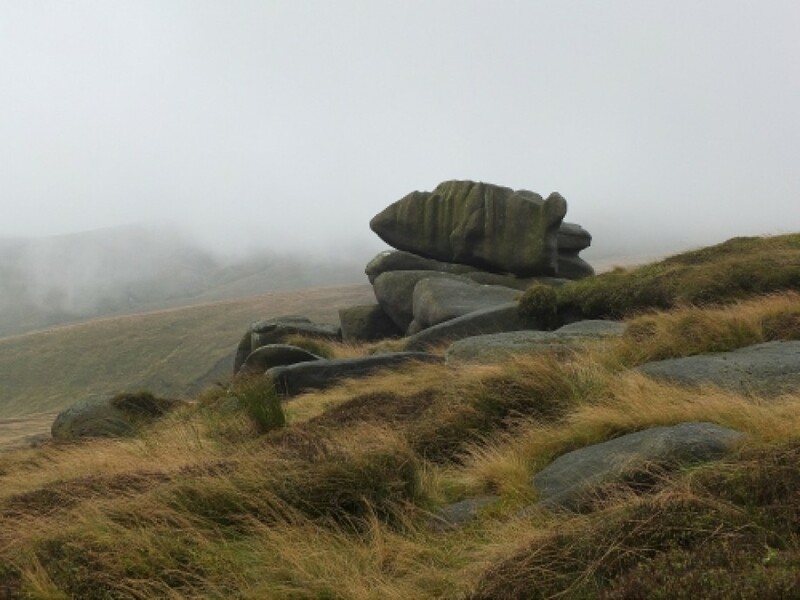 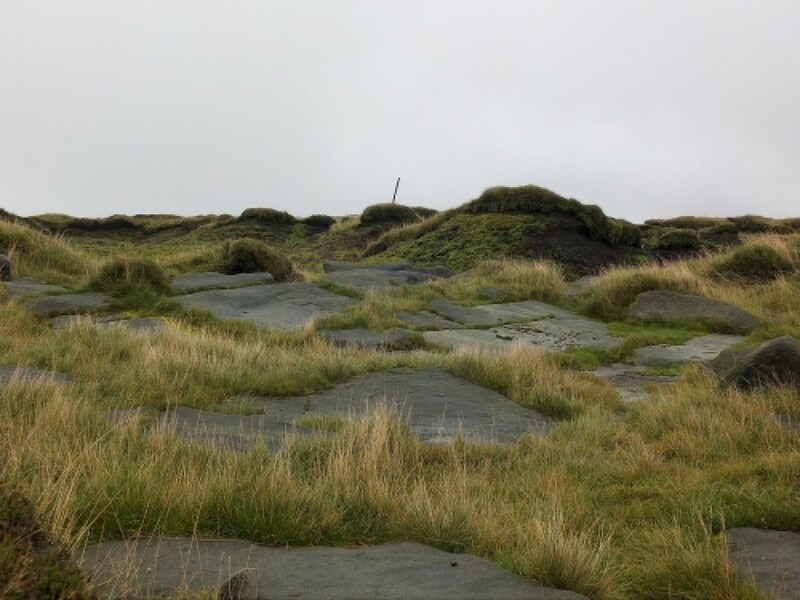 I was going to go over to Shiny Clough and work my way up to the Stones from there , but cloudbase and a heavily waterlogged moor made that feel more like a challenge walk than a pleasant day out . 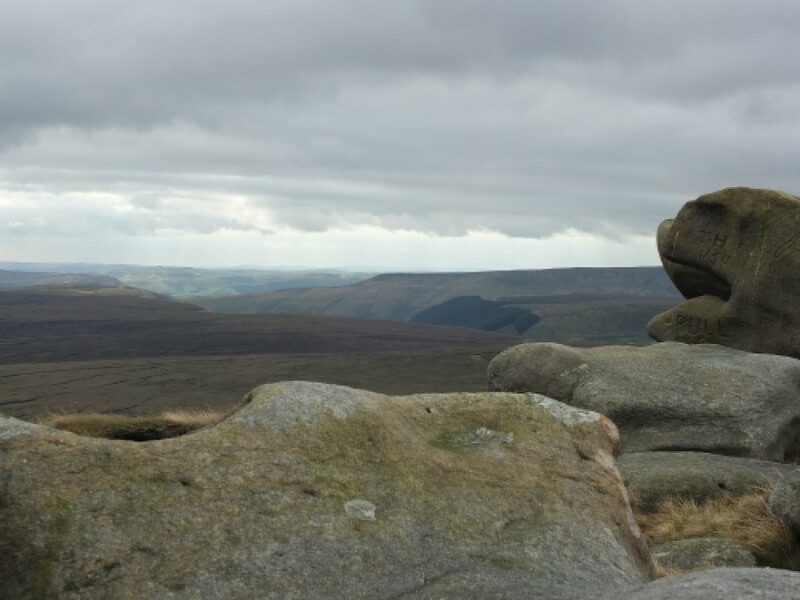 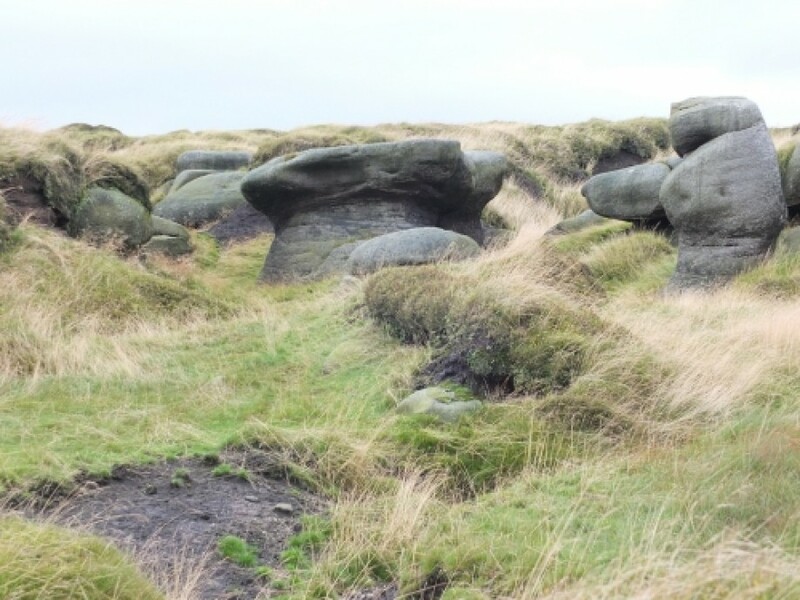 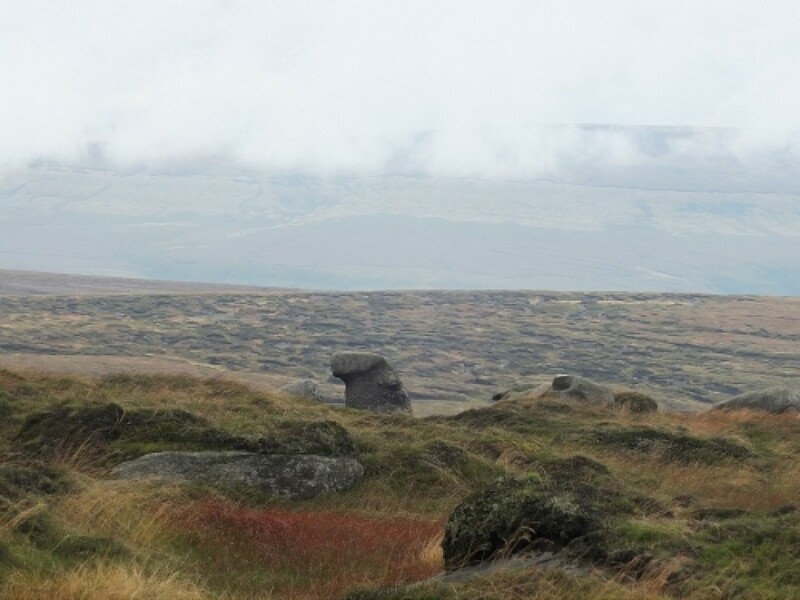 So I veered south-eastish from Bleaklow Head , spent some time watching the clouds roll by at Fork Stones , and then worked my way up to Bleaklow Stones , where I did the same . 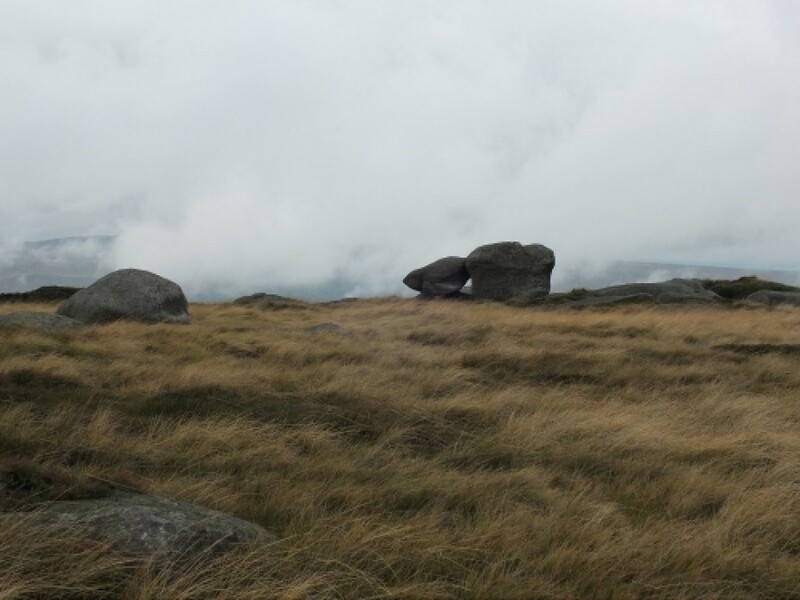 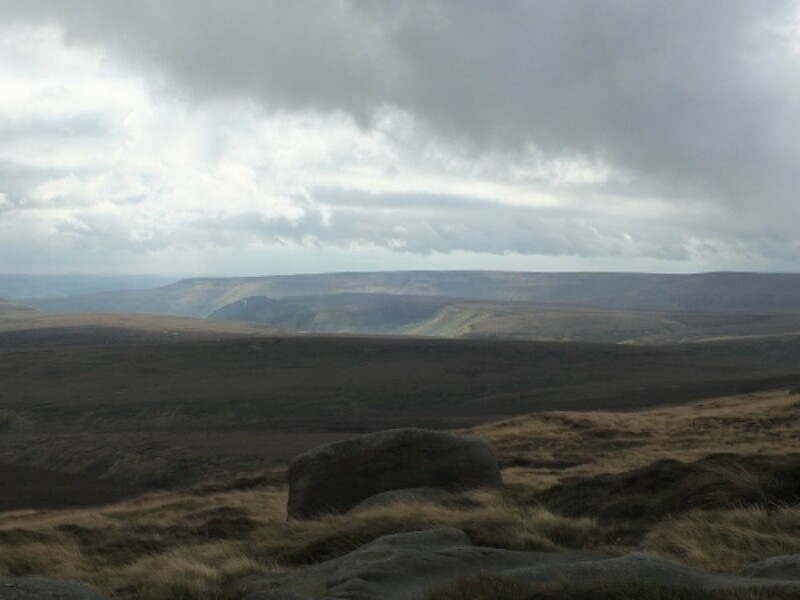 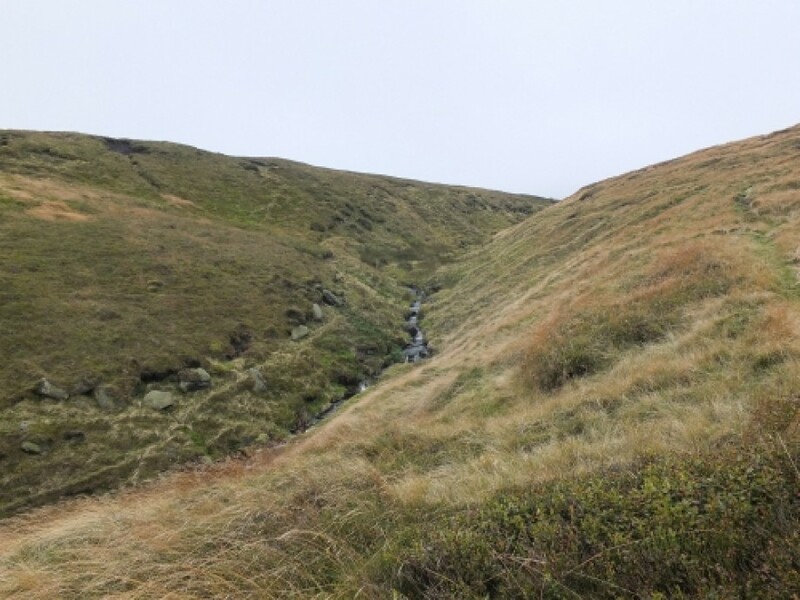 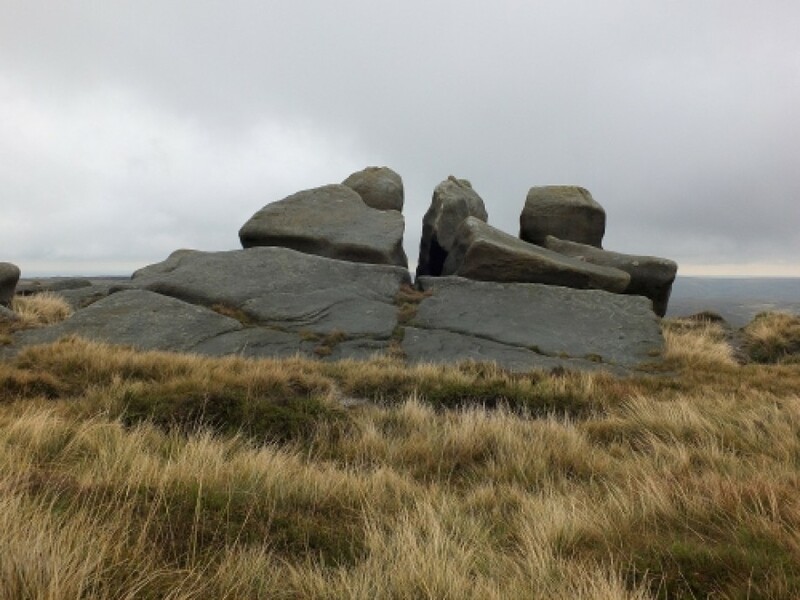 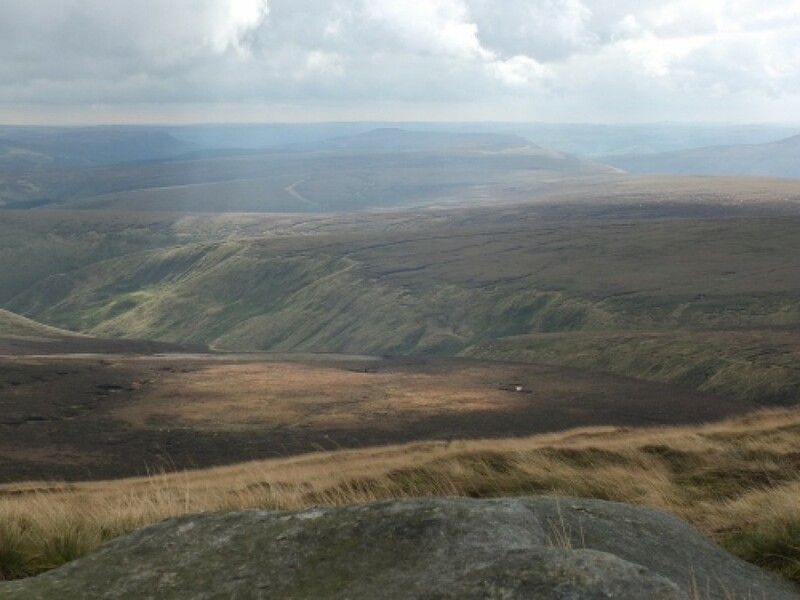 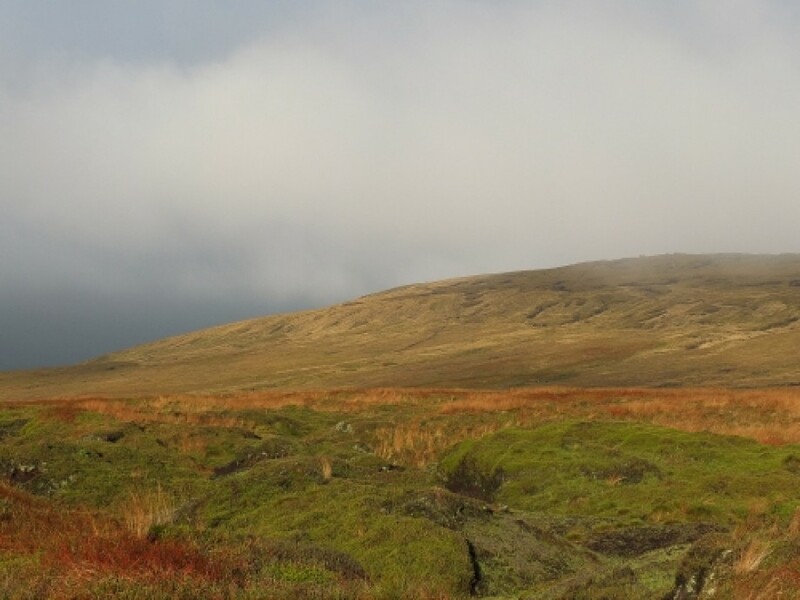 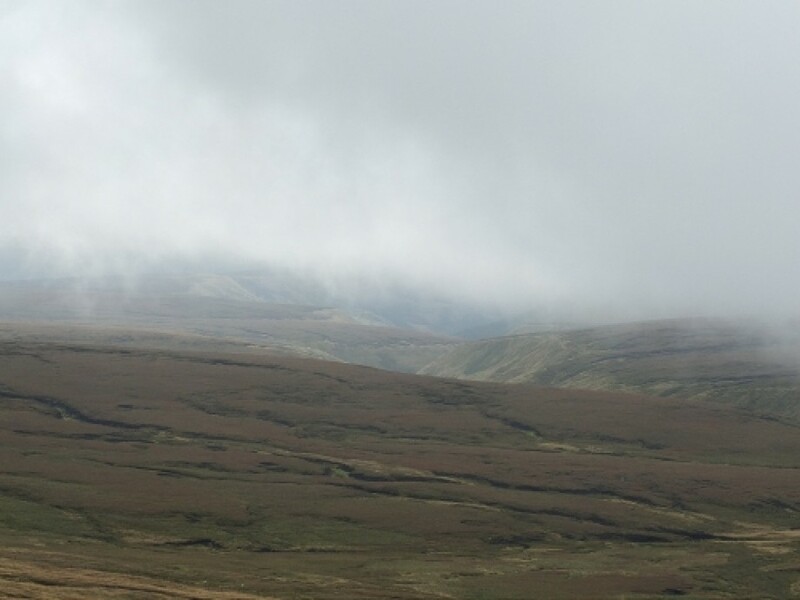 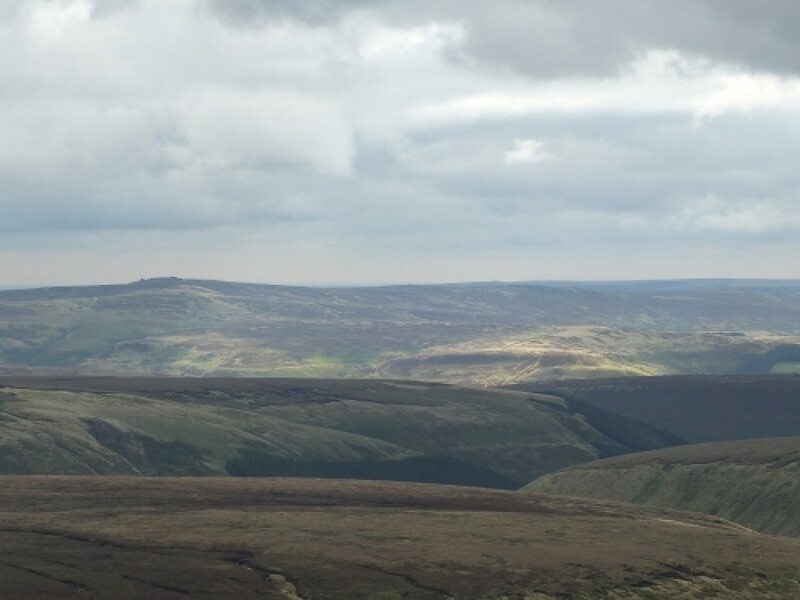 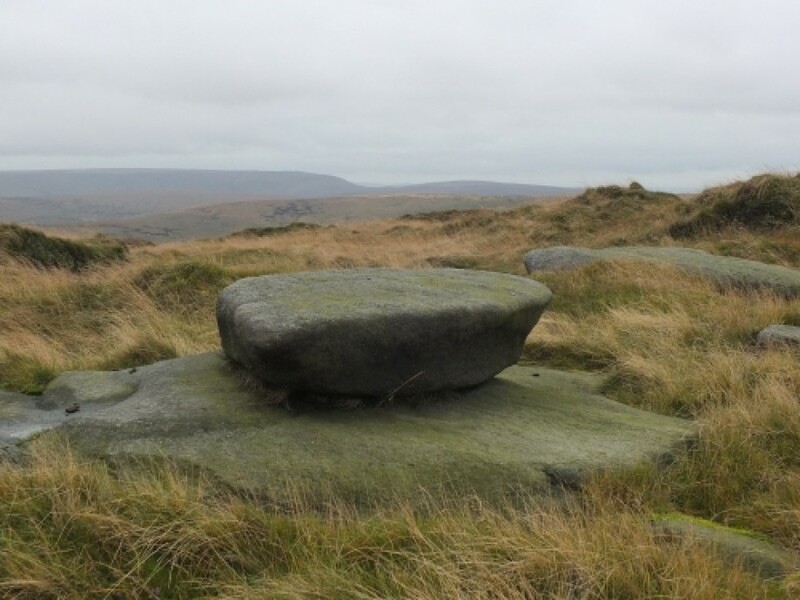 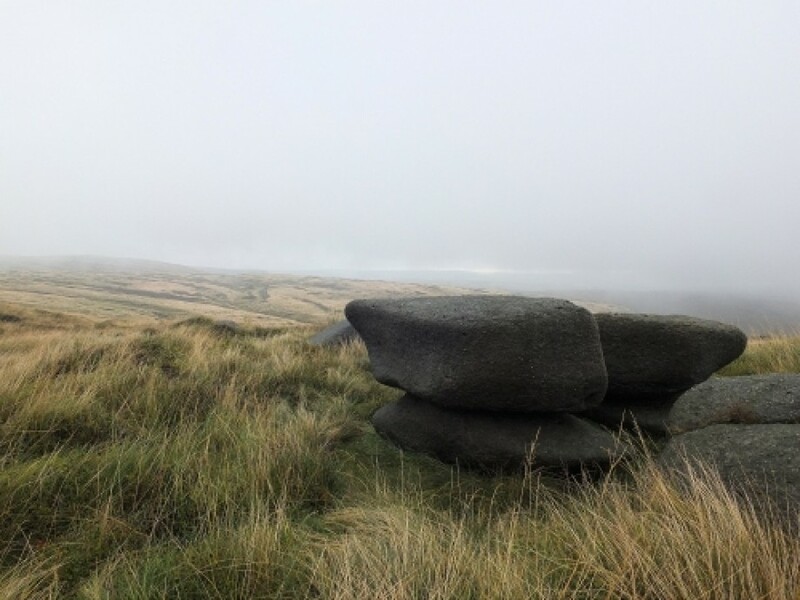 By this time it was obvious that cloudbase wasn't going to disperse or lift significantly , so I followed the Alport down and rejoined the Pennine Way from Hern Clough .It made a very pleasant day . 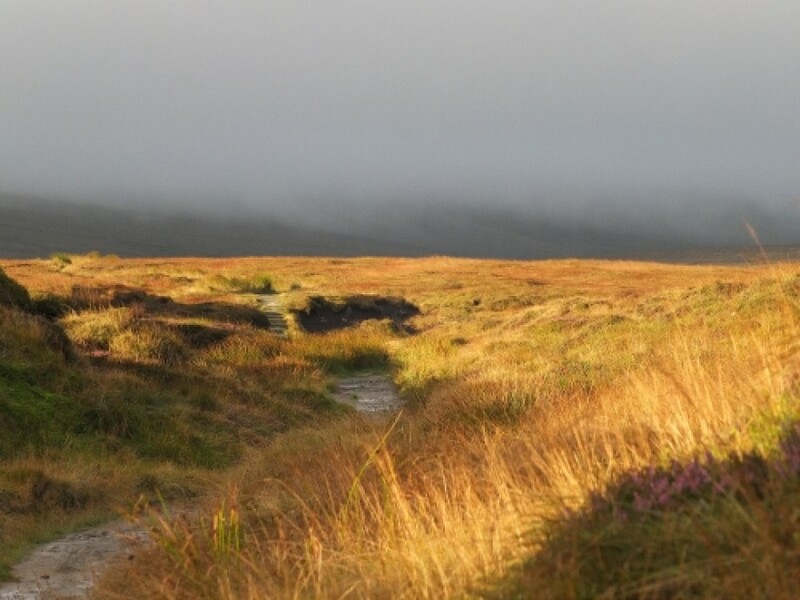 The morning light going up was glorious , and the shrouded tops were wind and rain swept , but not yet arctic in their bite . 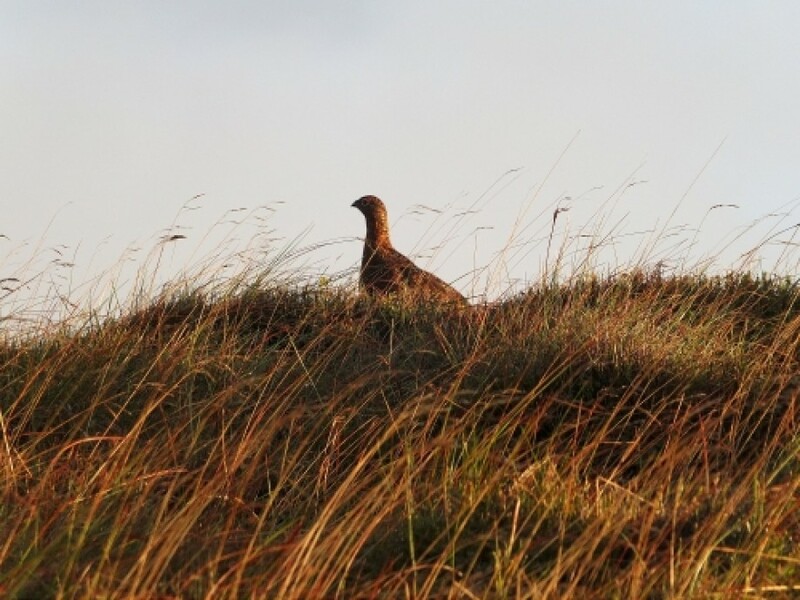 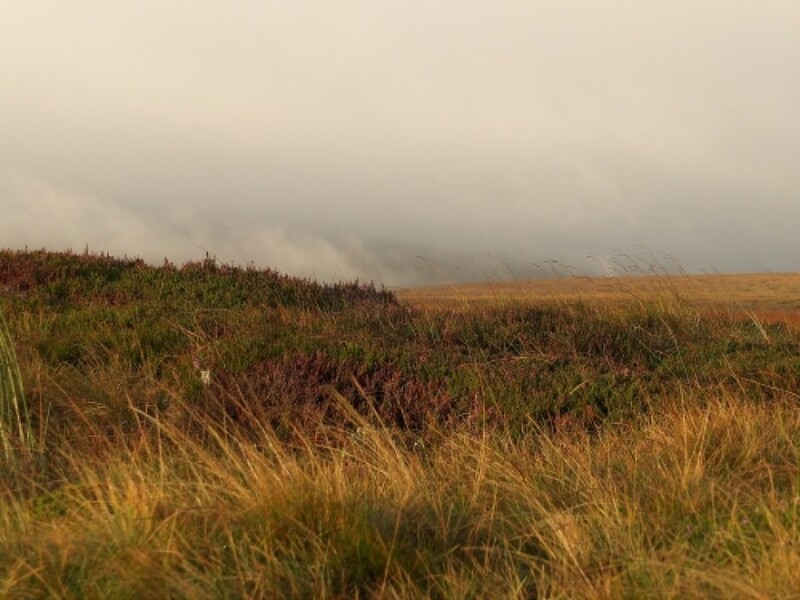 At the edges , there were sufficient and speedy contrasts in the views through the rolling clouds , interesting mutations of autumn colour , and frequent sights of hares just showing the first hints of white . 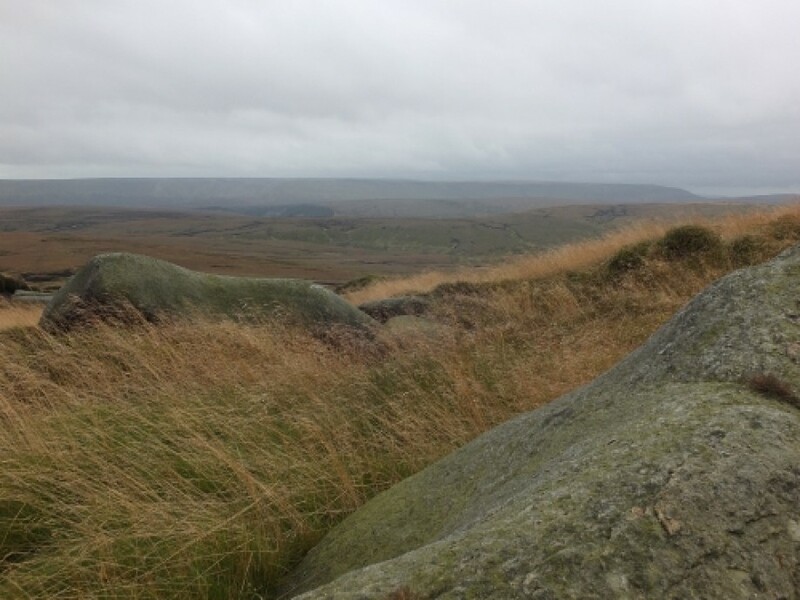 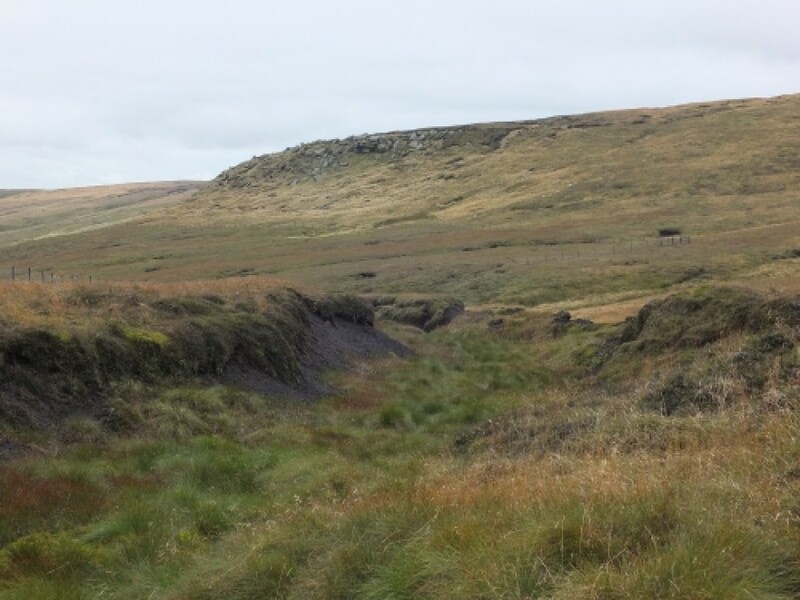 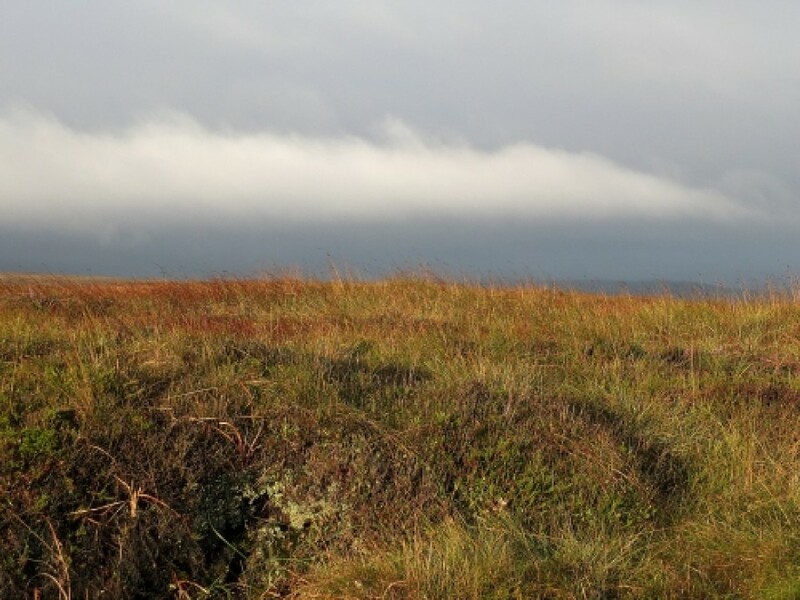 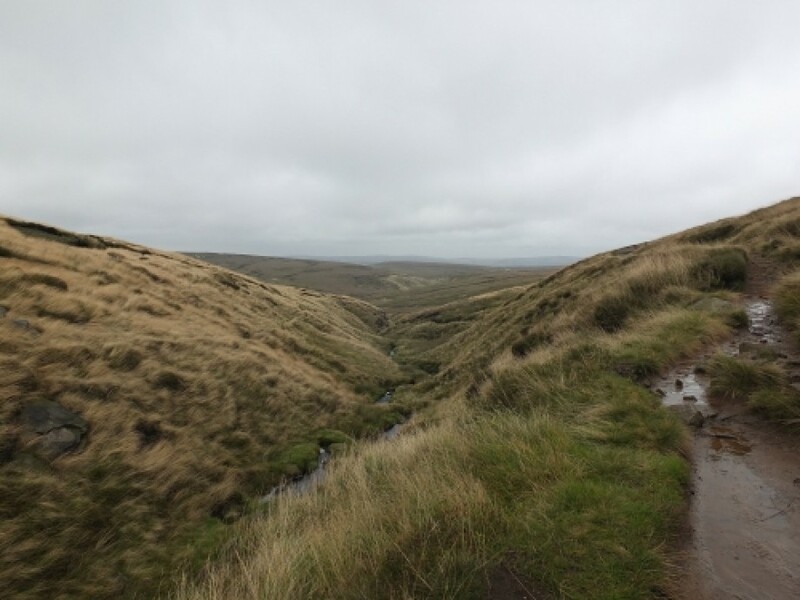 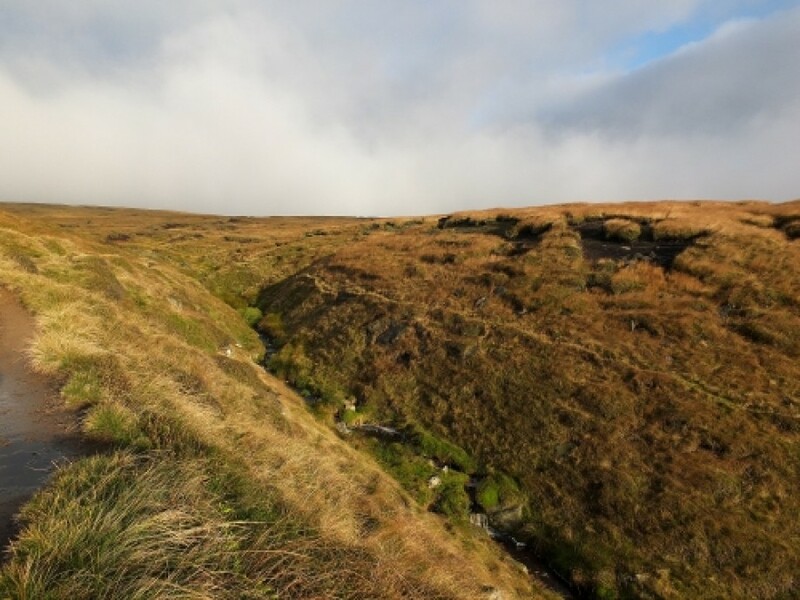 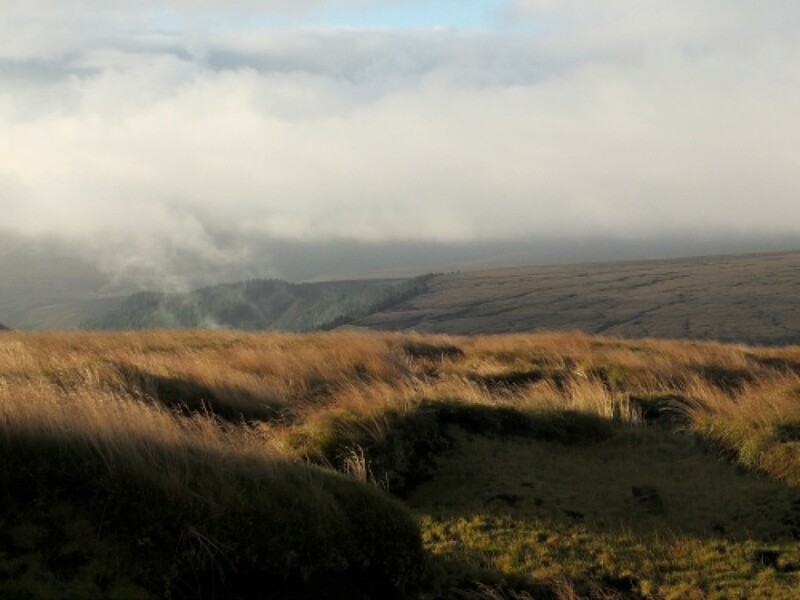 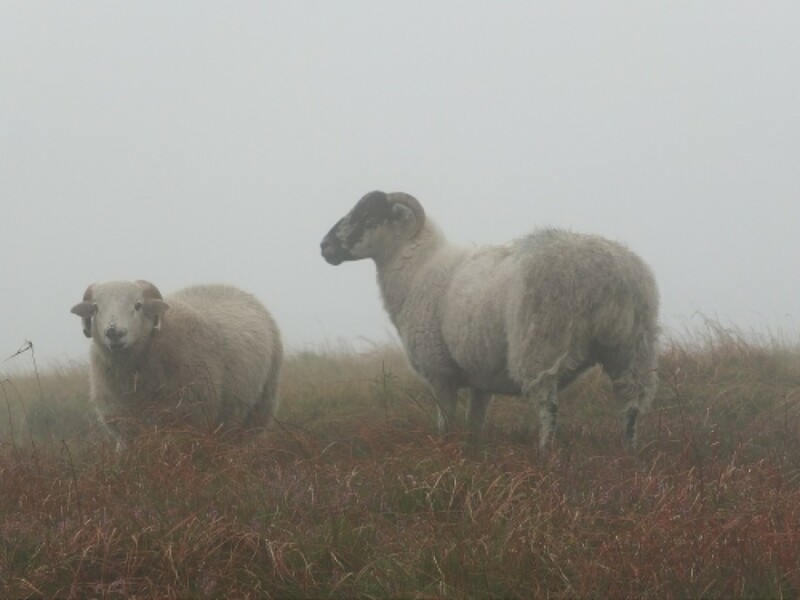 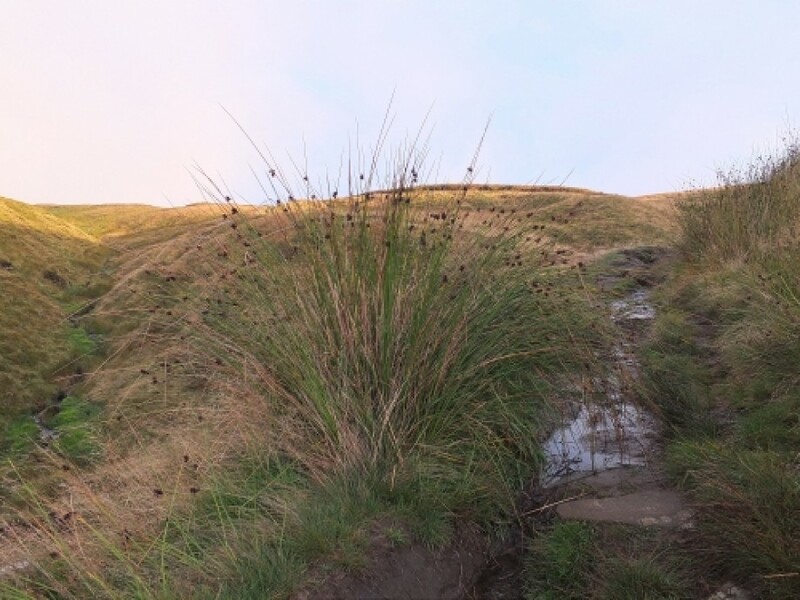 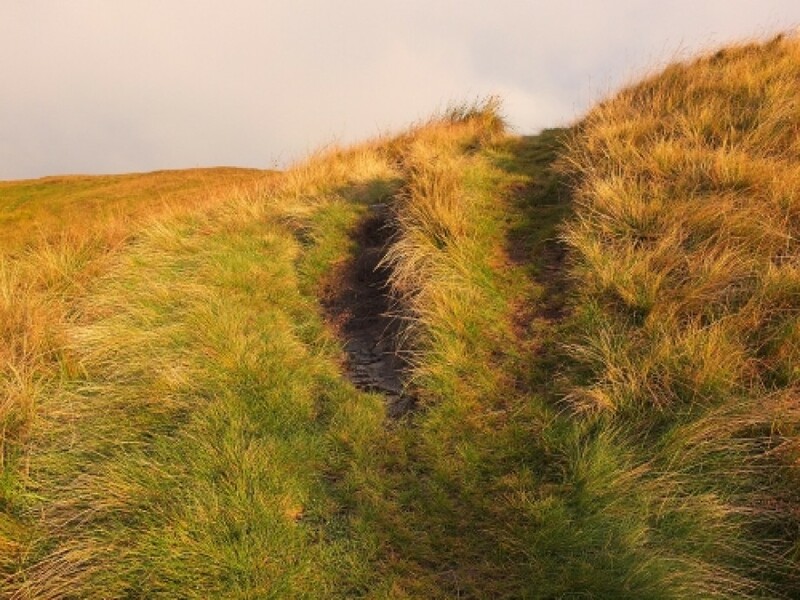 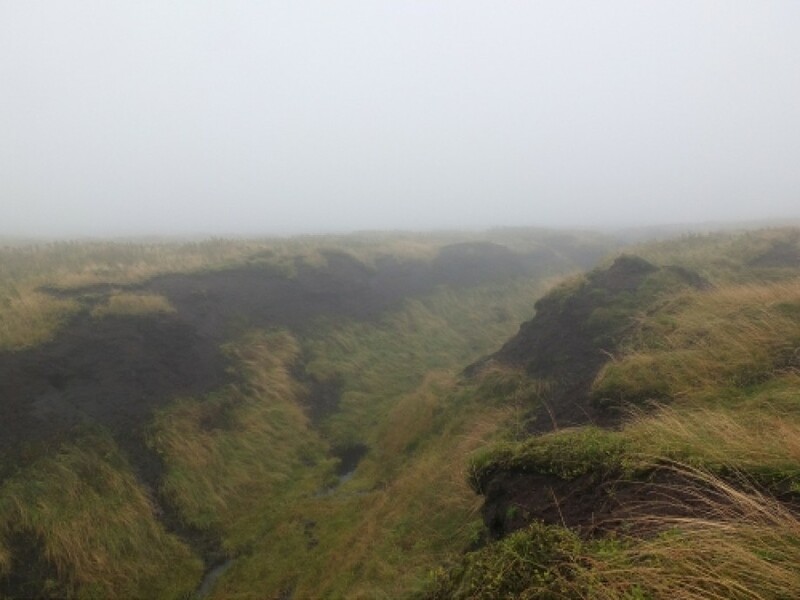 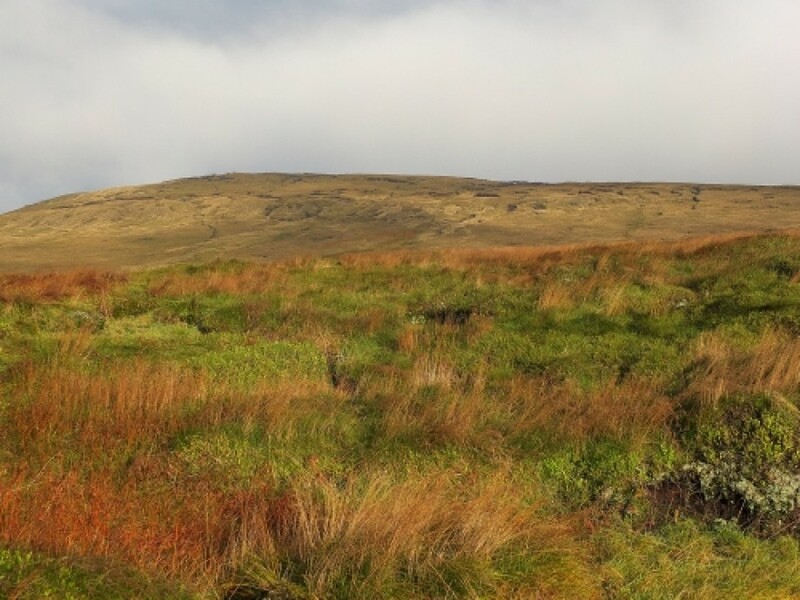 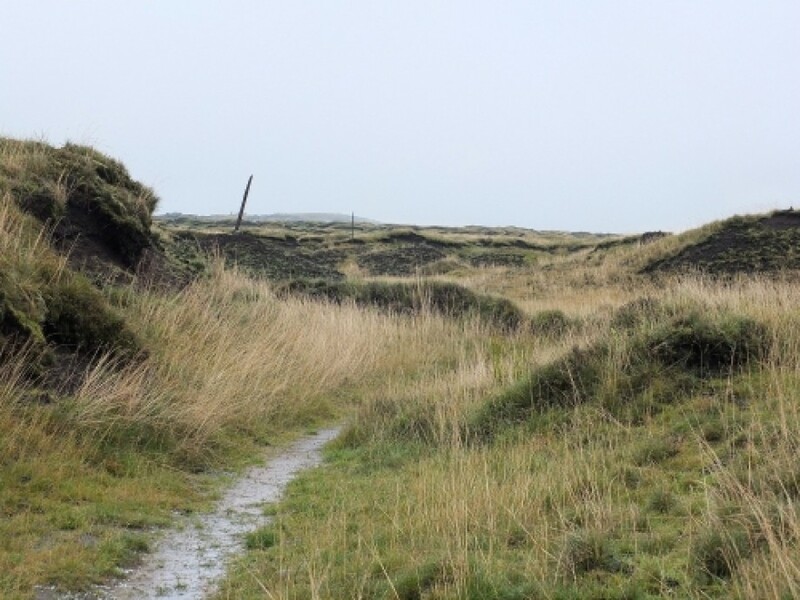 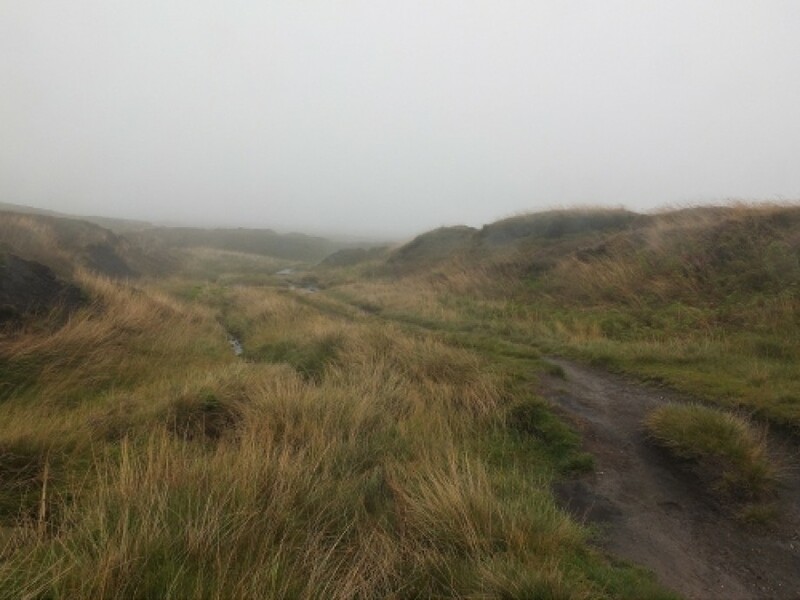 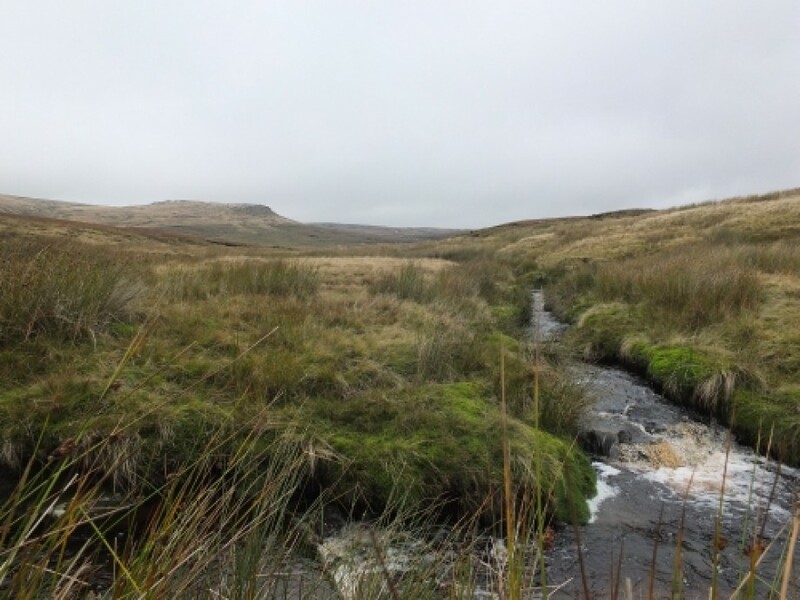 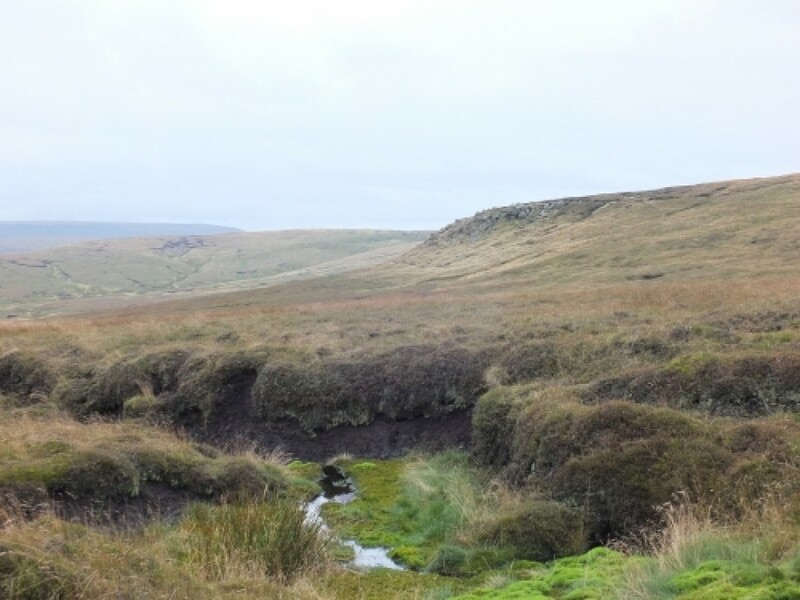 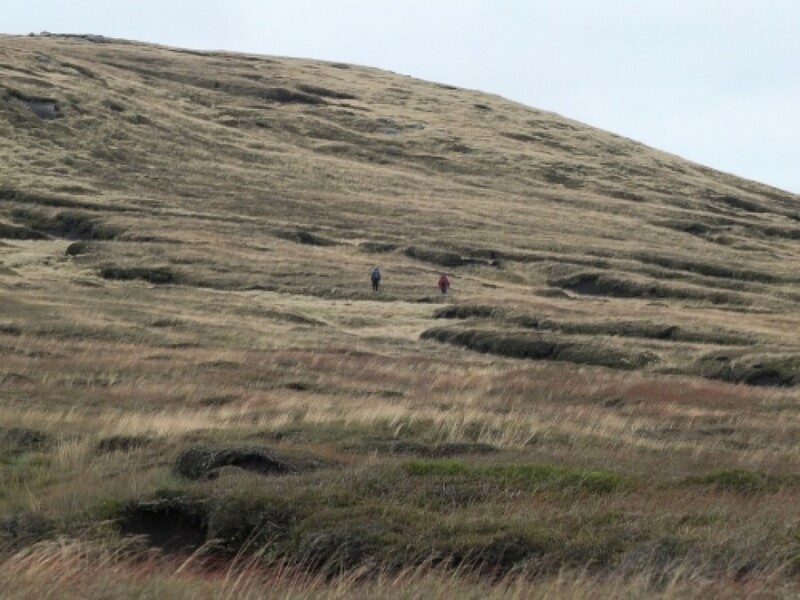 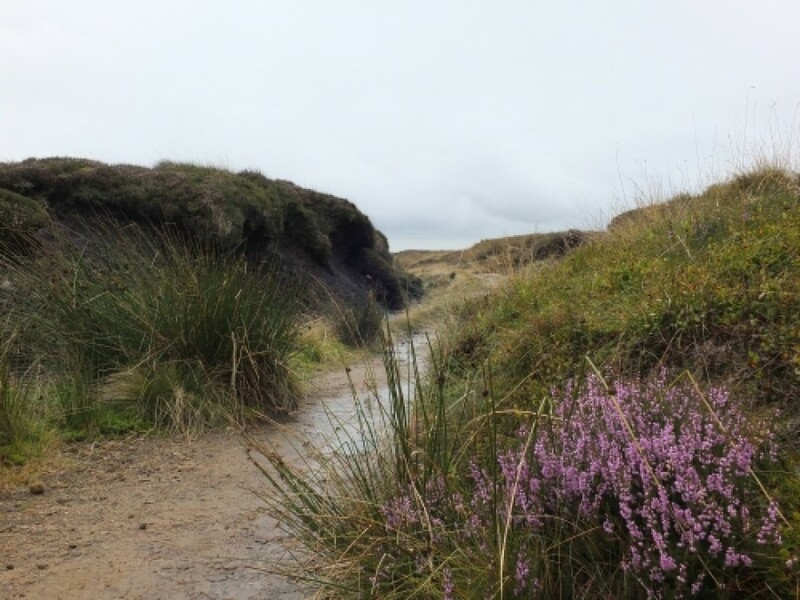 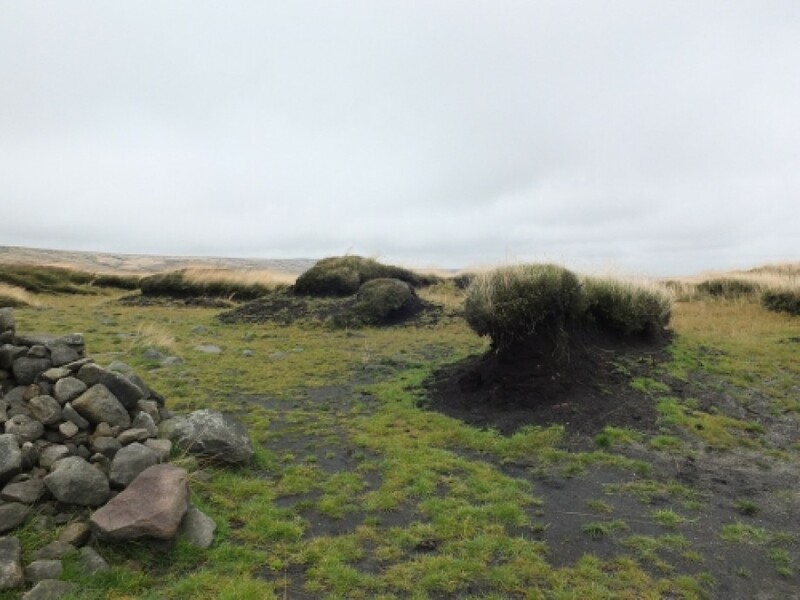 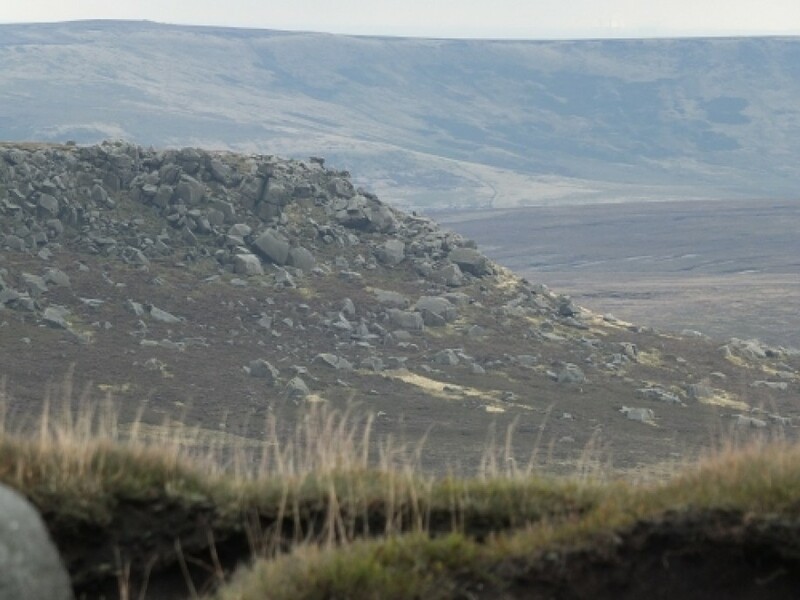 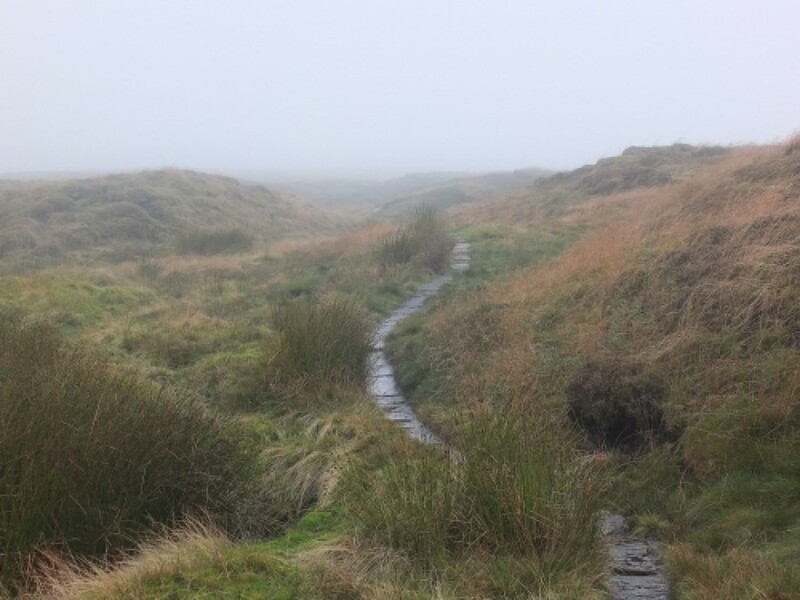 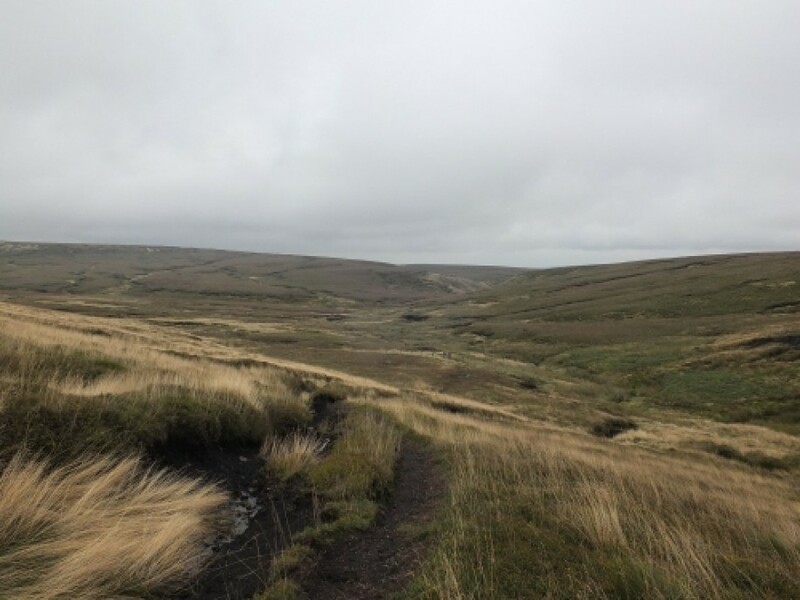 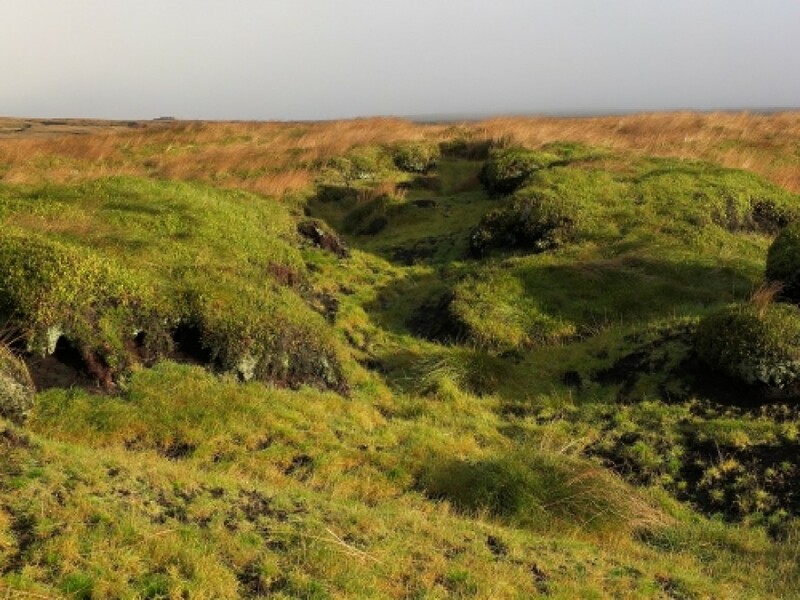 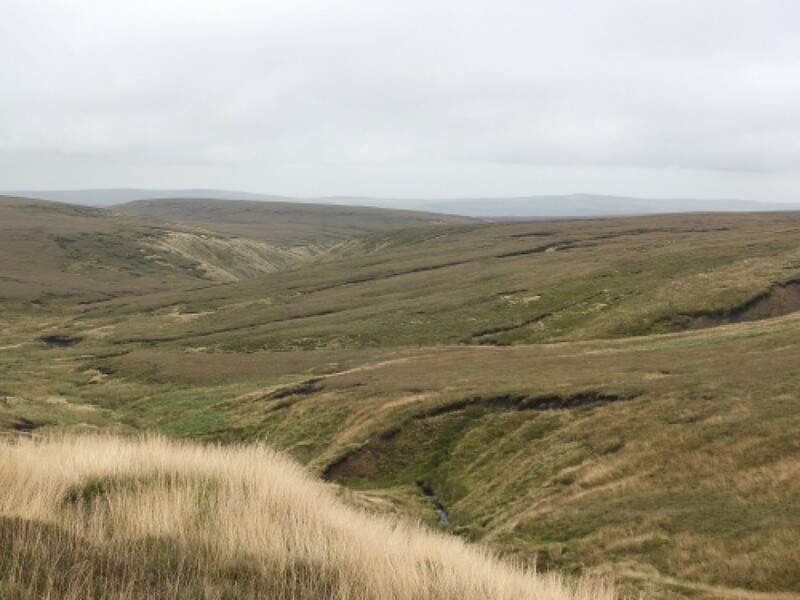 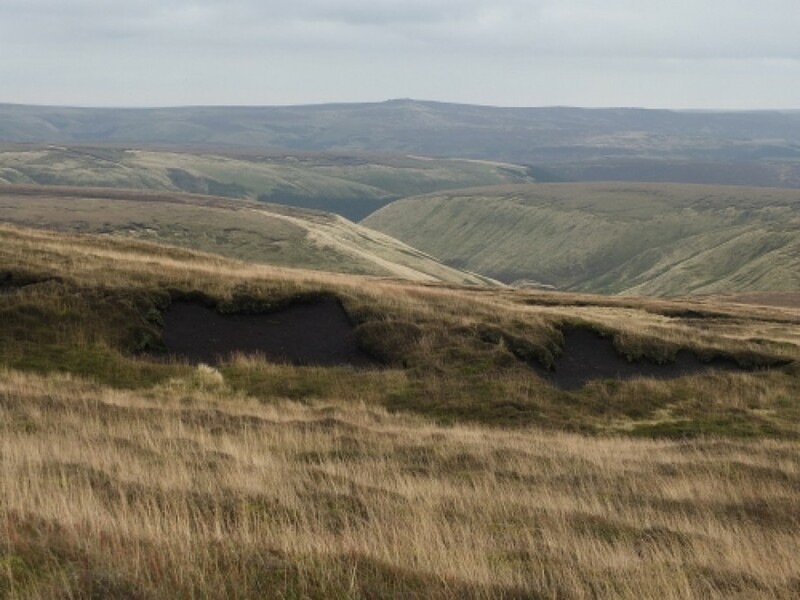 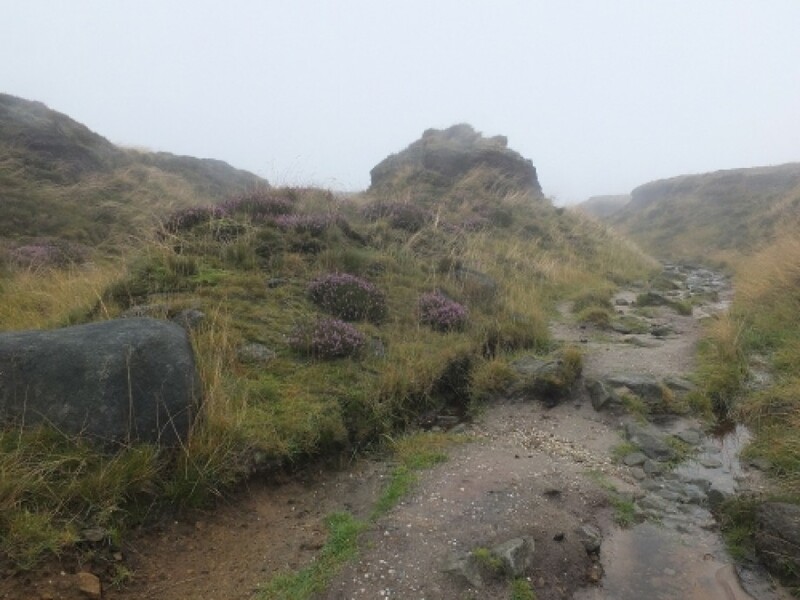 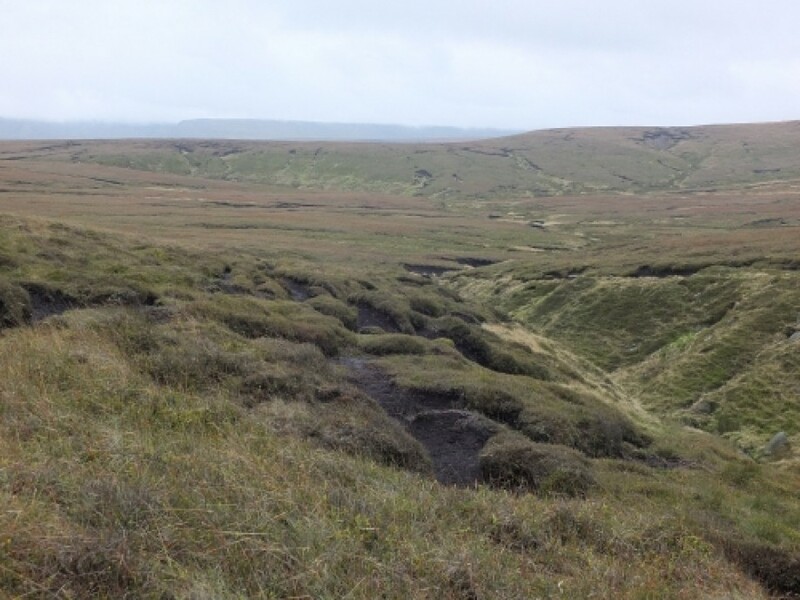 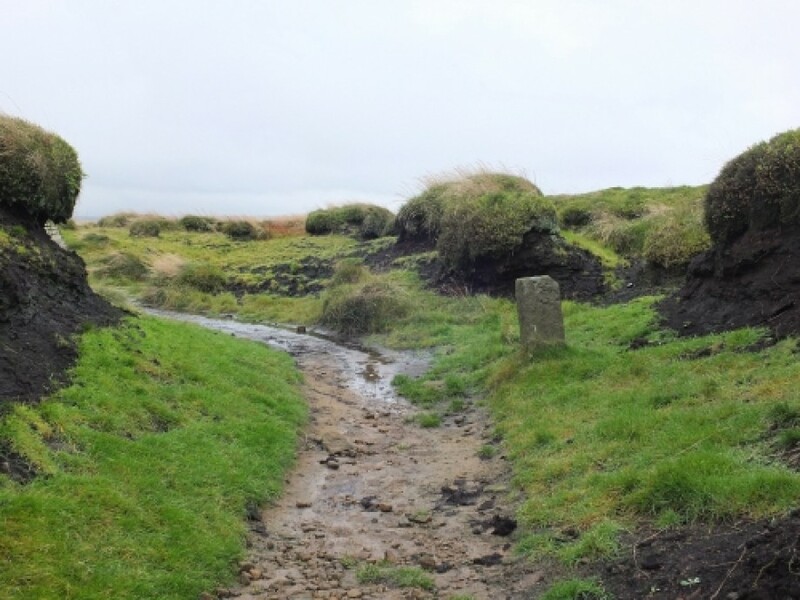 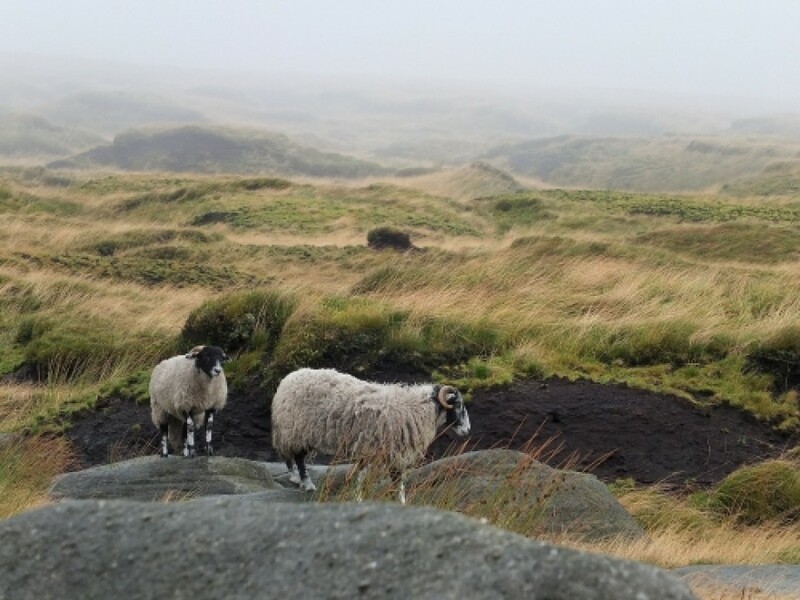 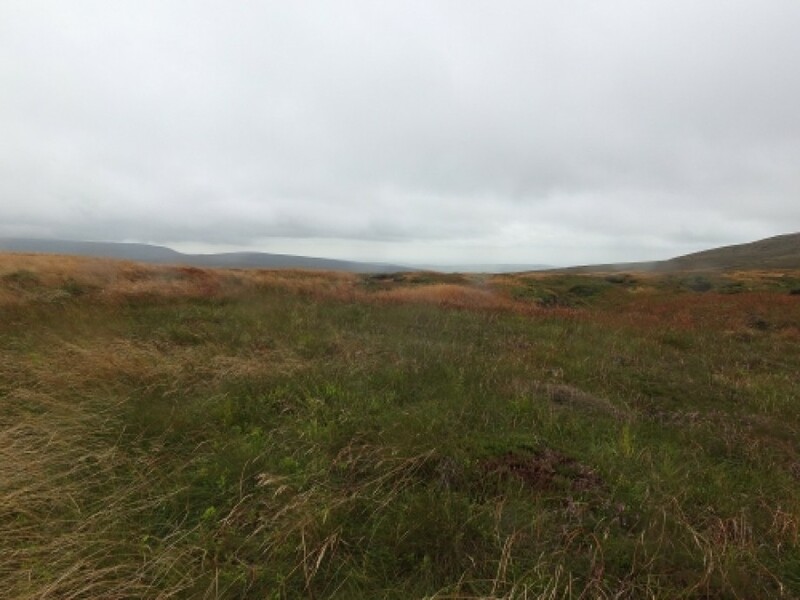 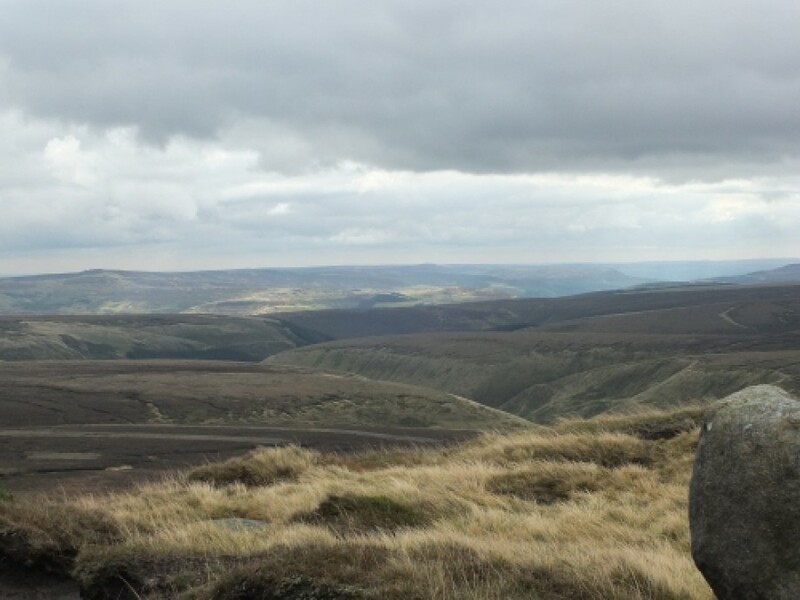 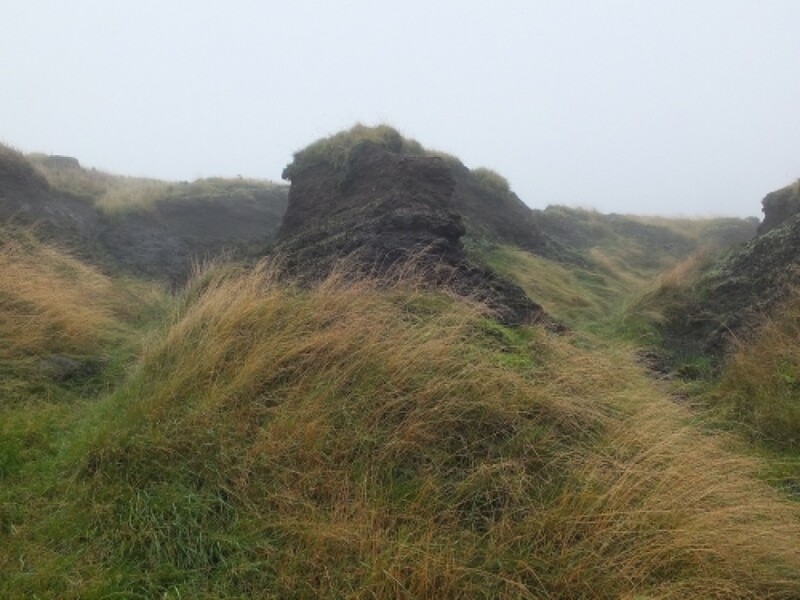 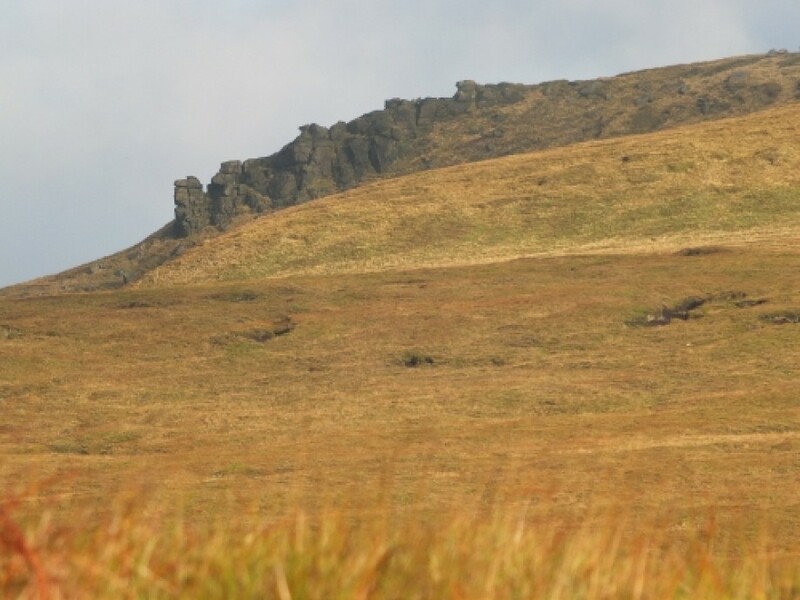 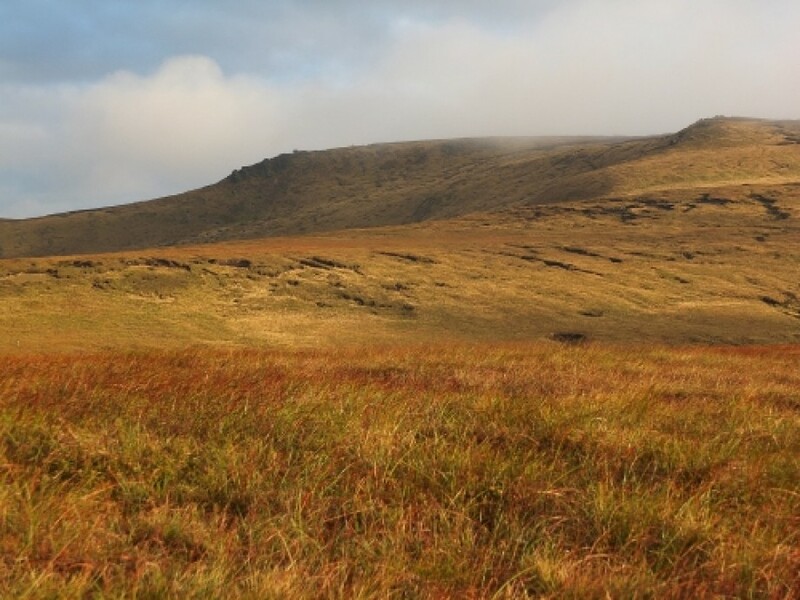 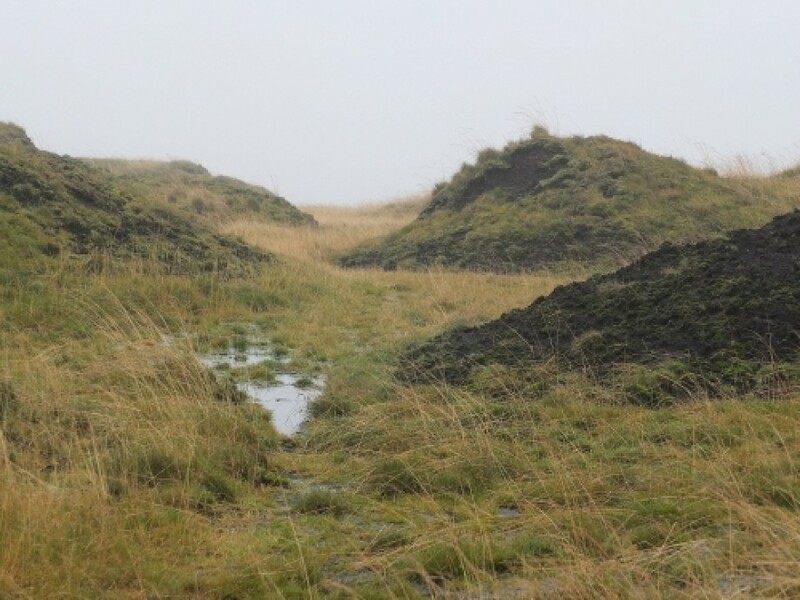 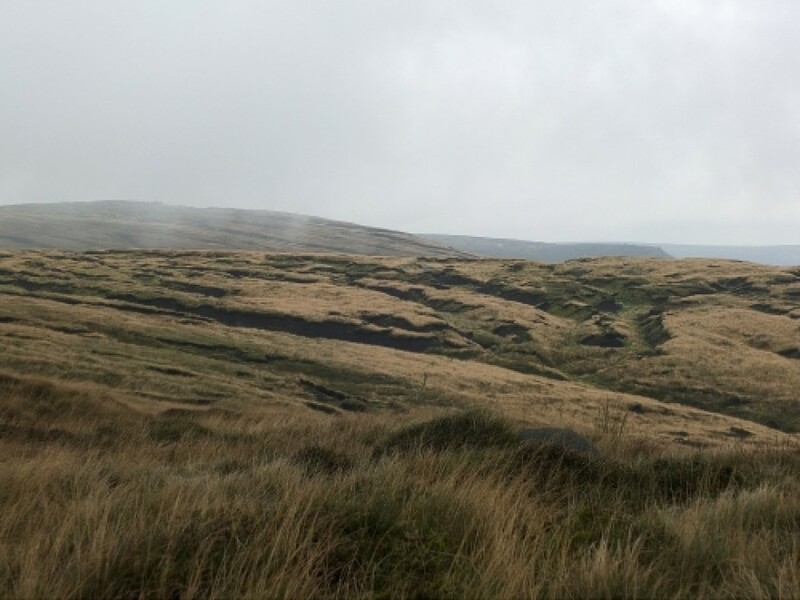 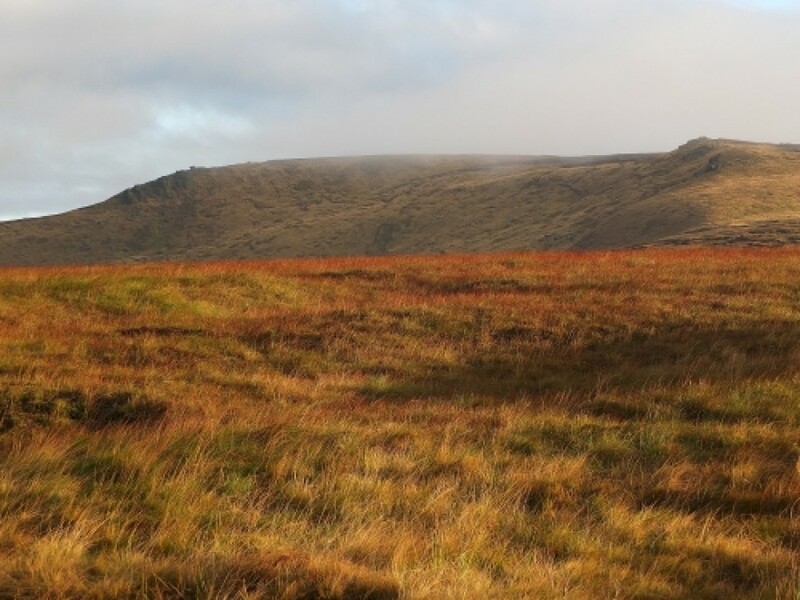 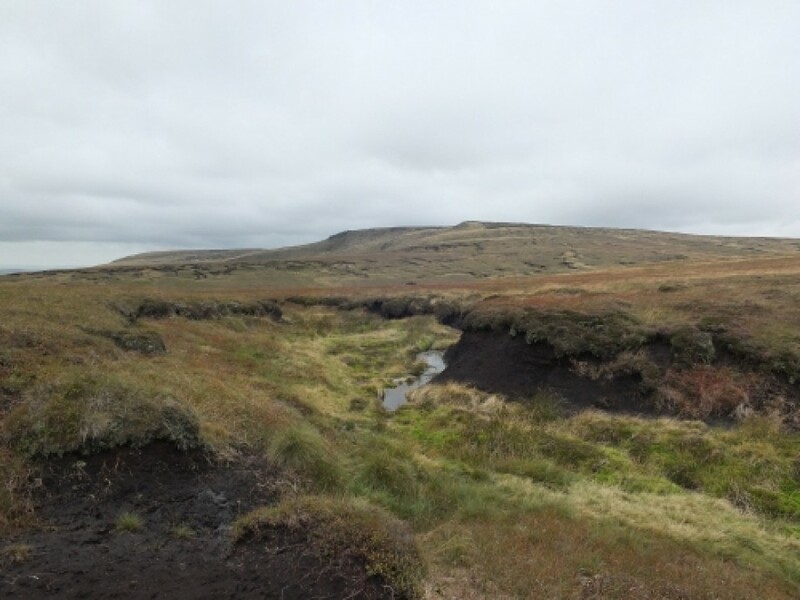 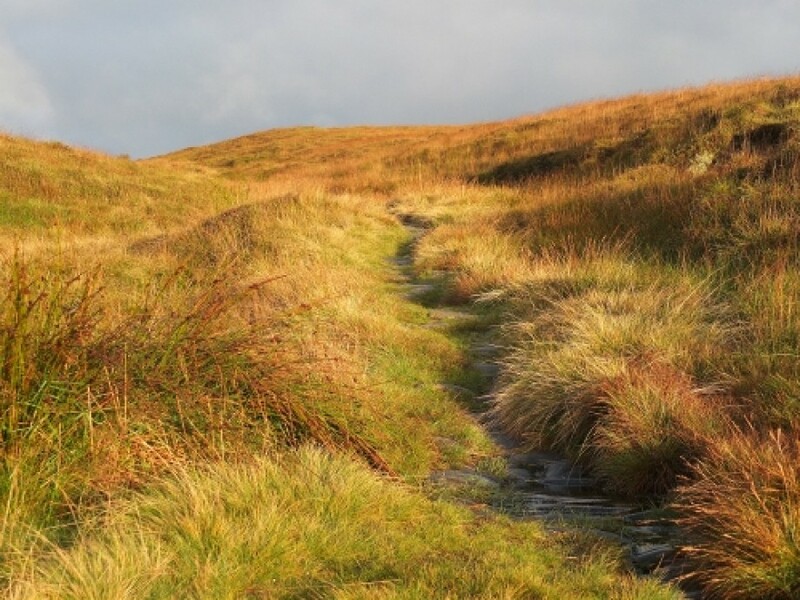 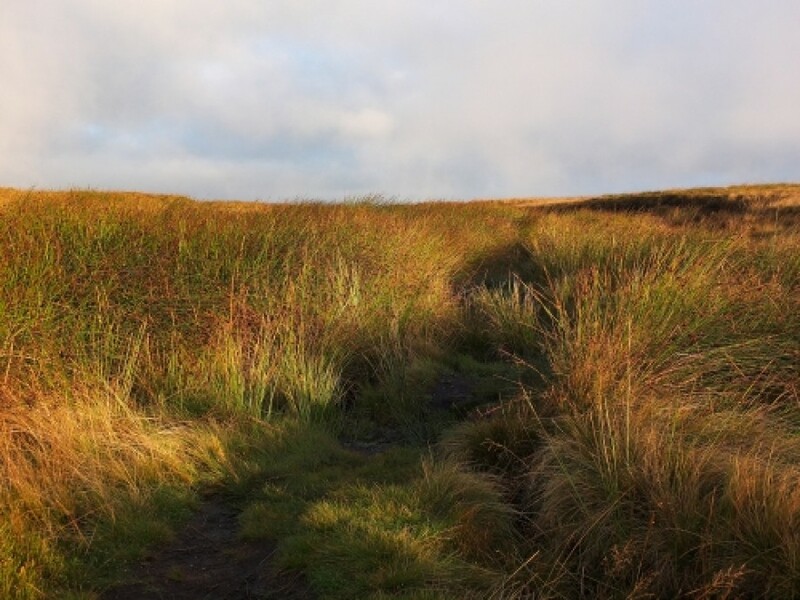 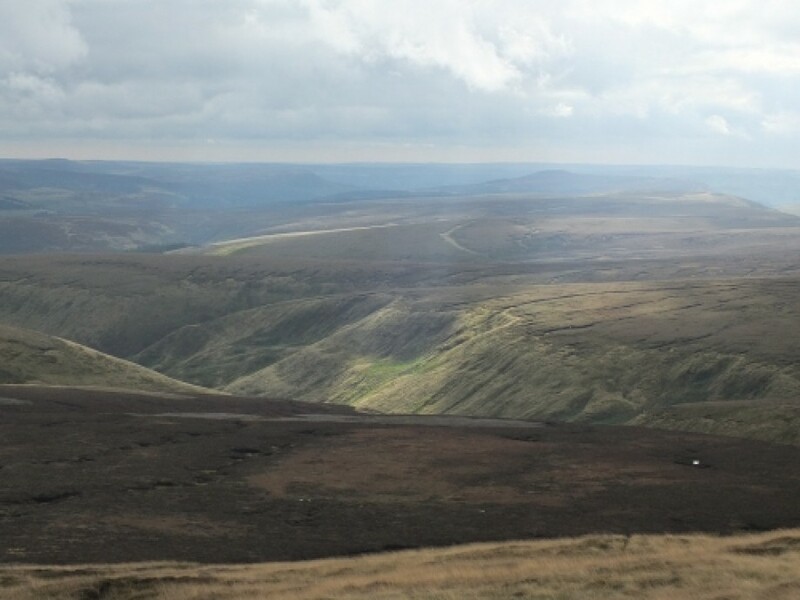 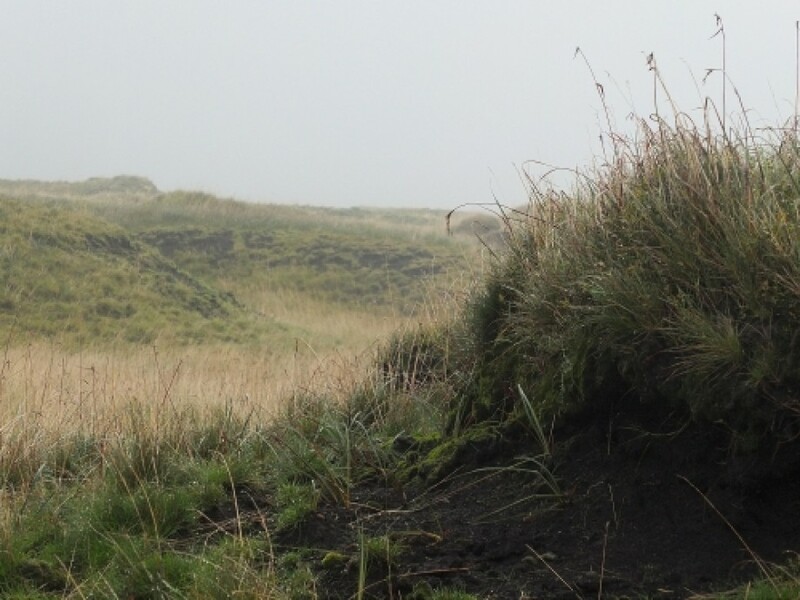 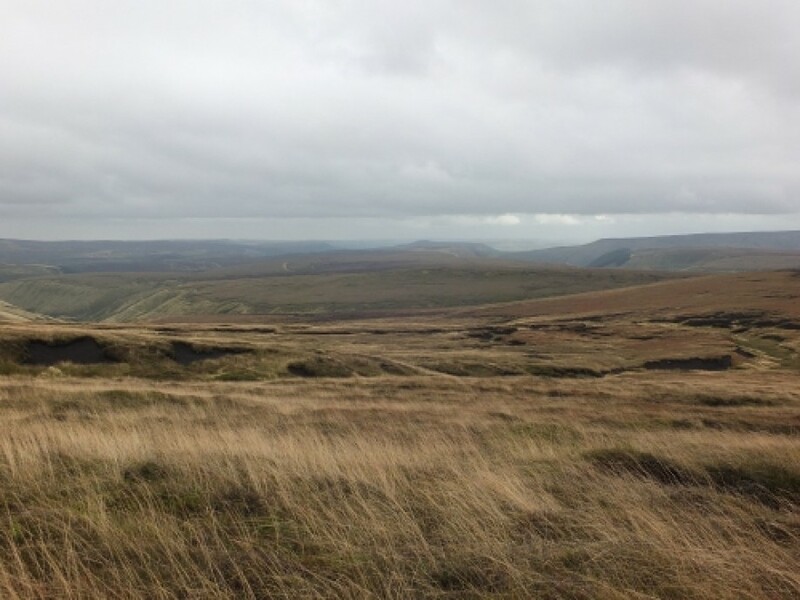 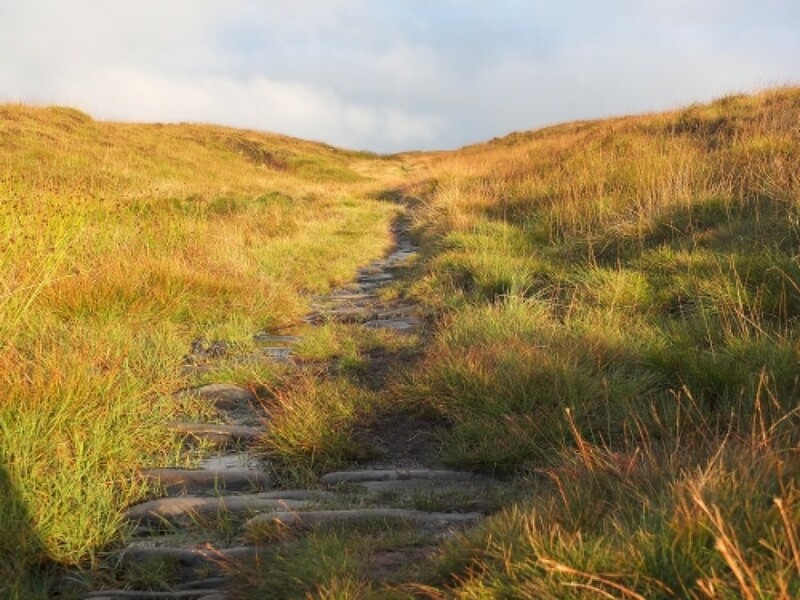 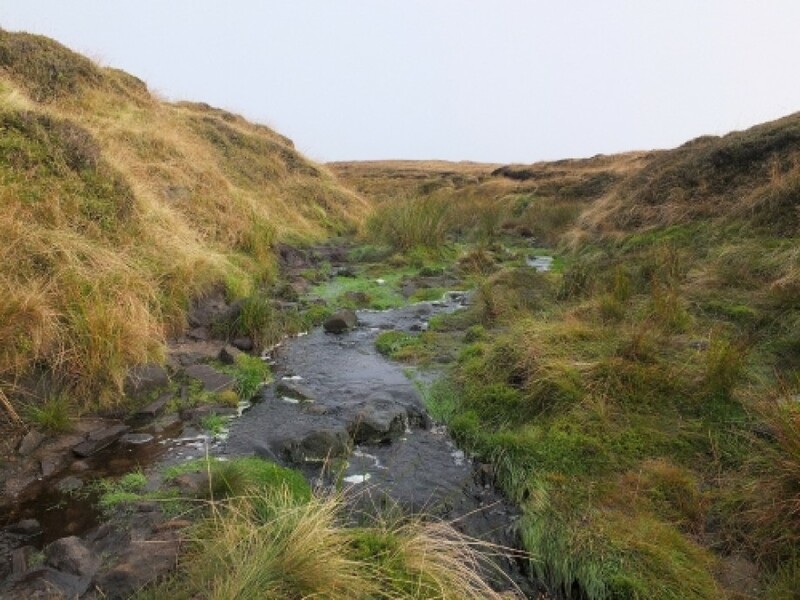 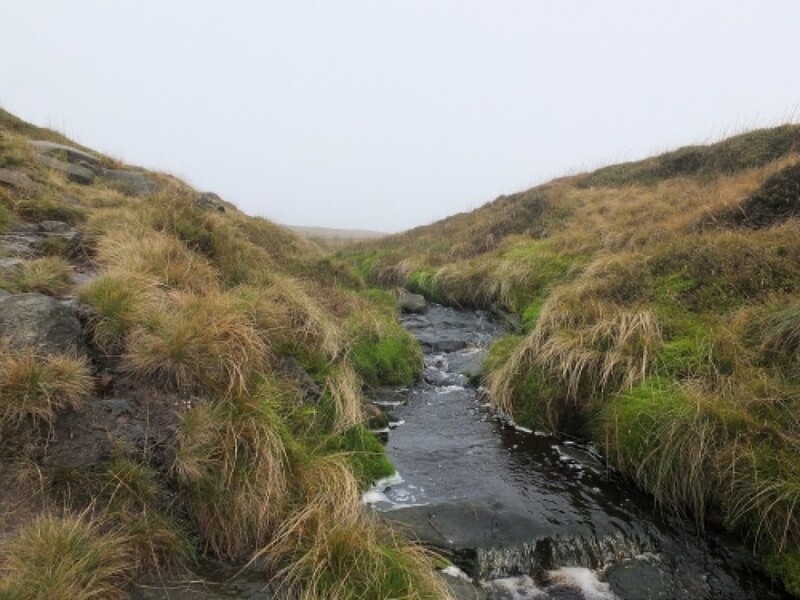 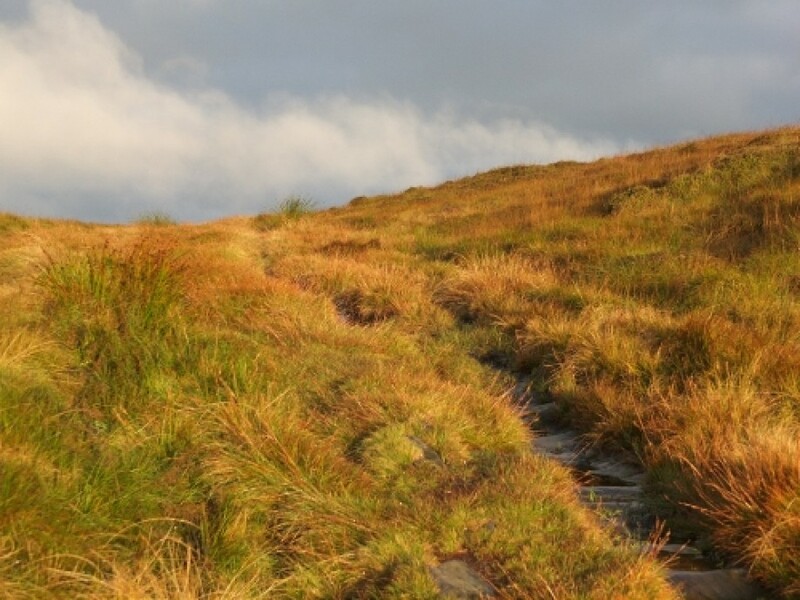 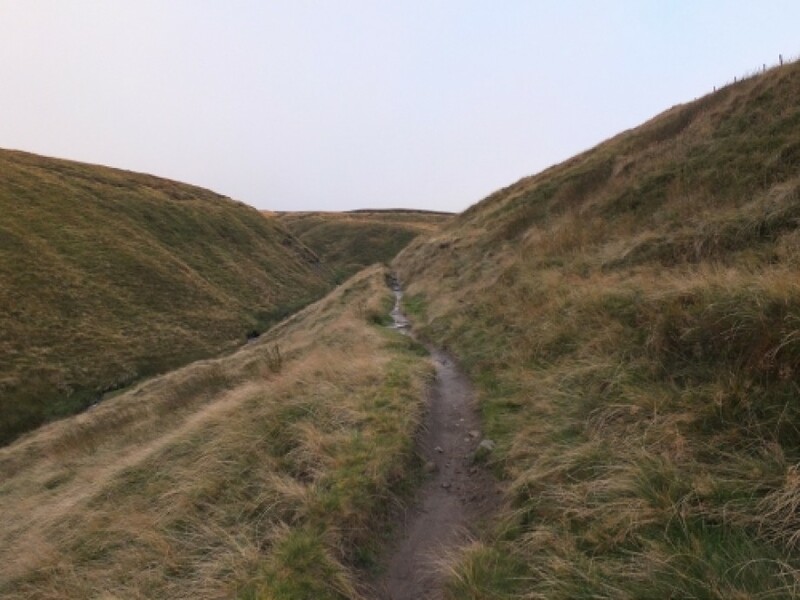 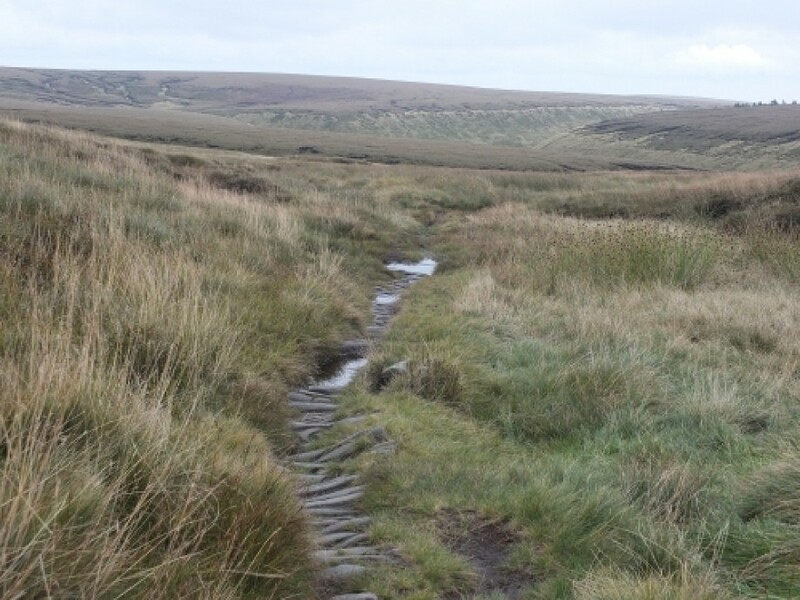 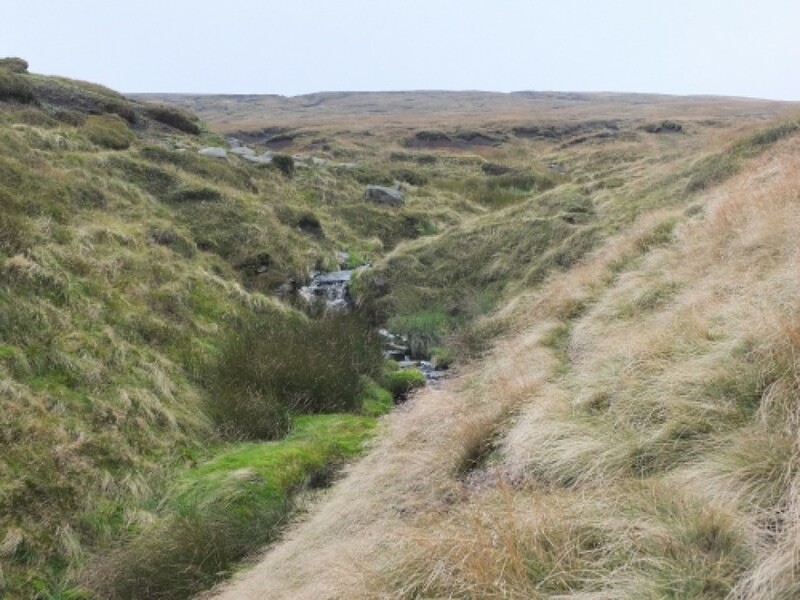 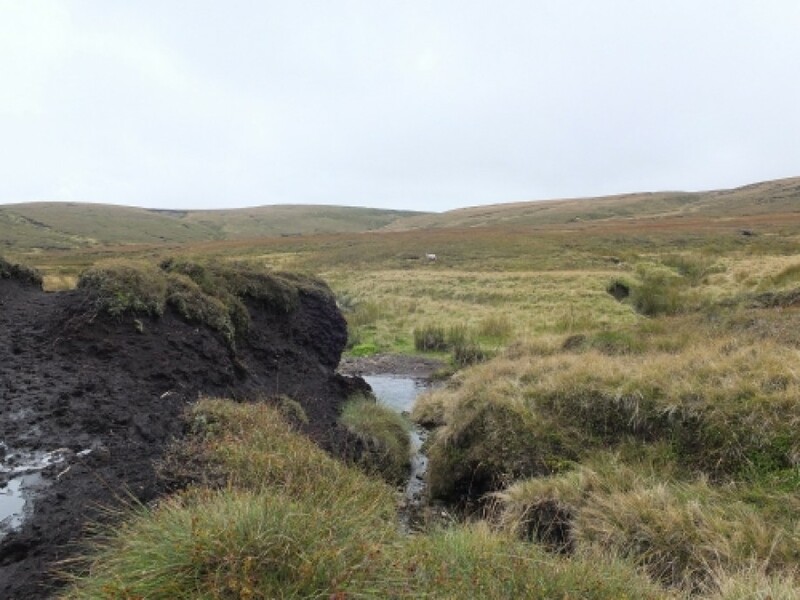 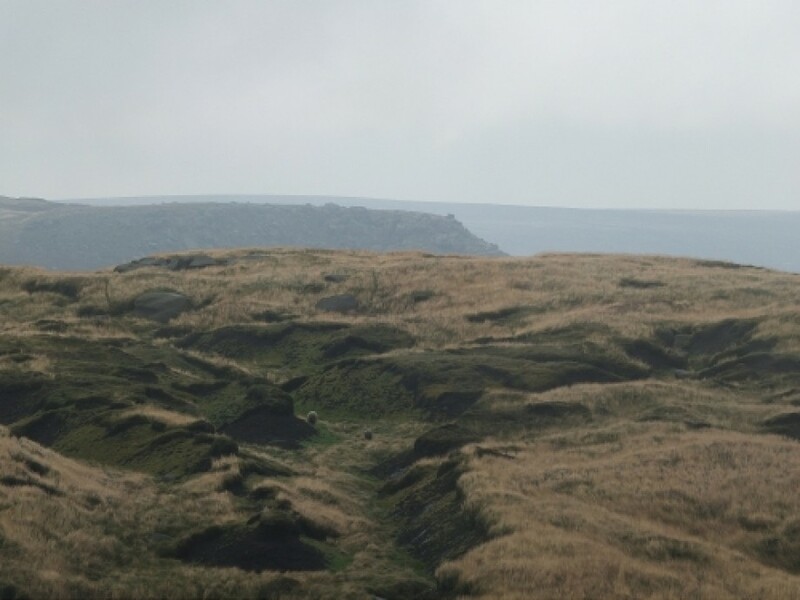 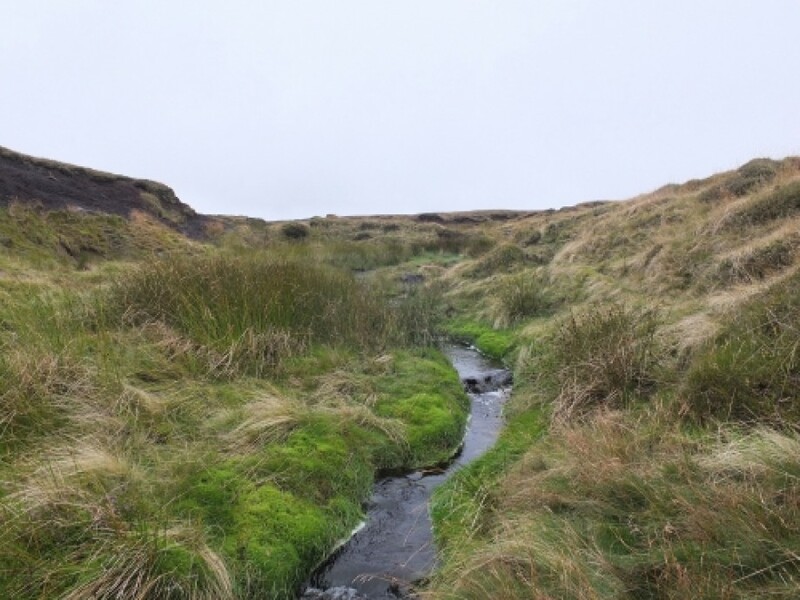 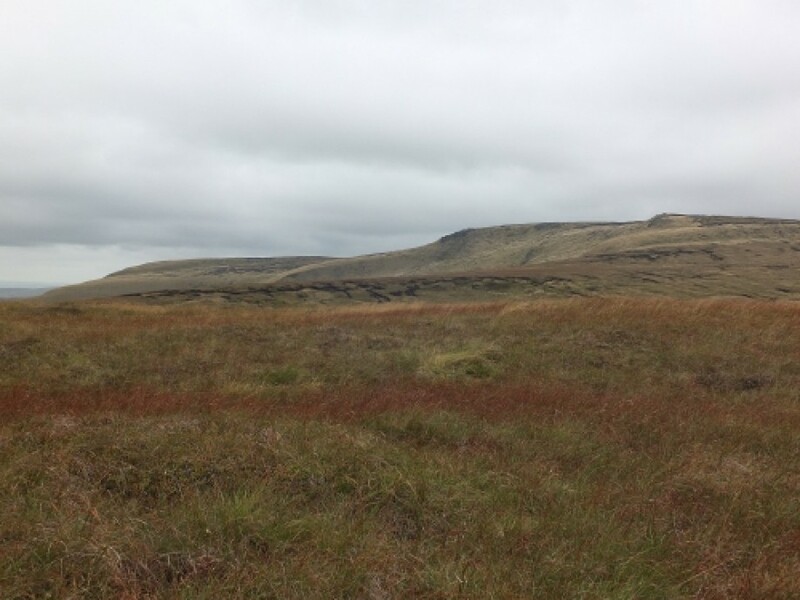 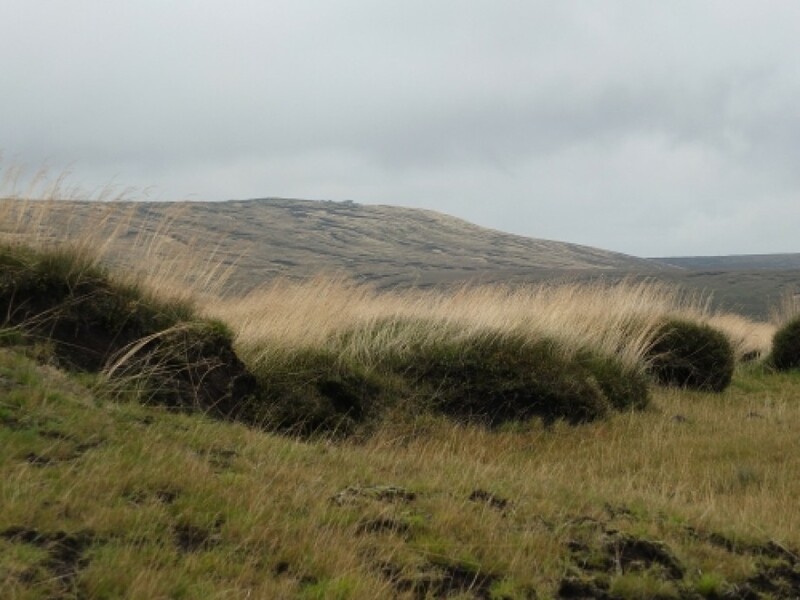 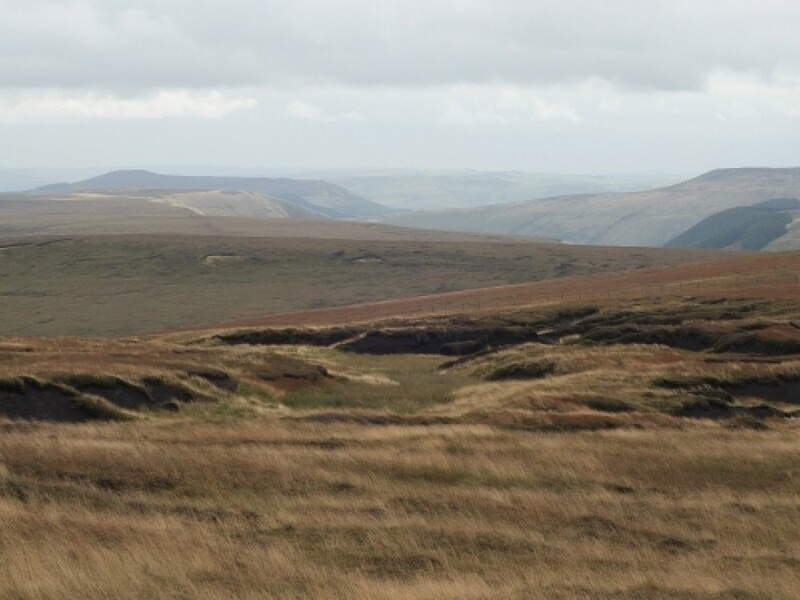 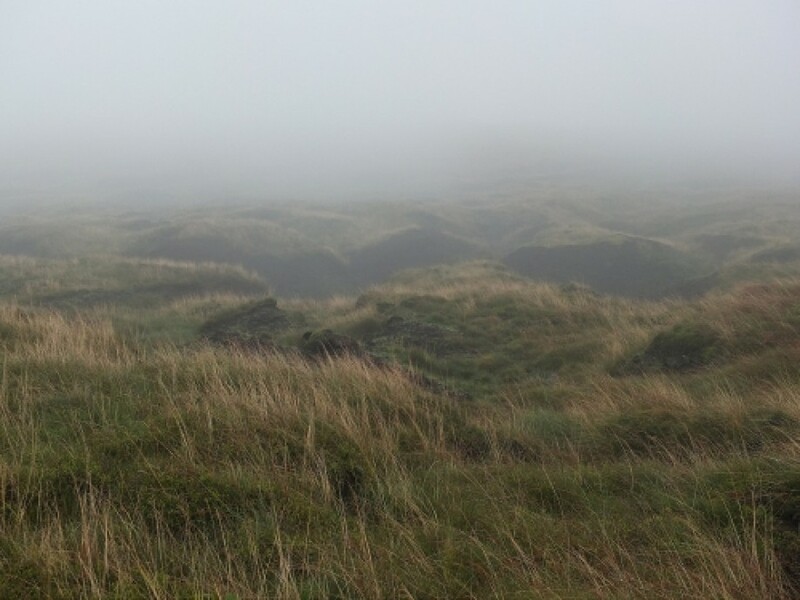 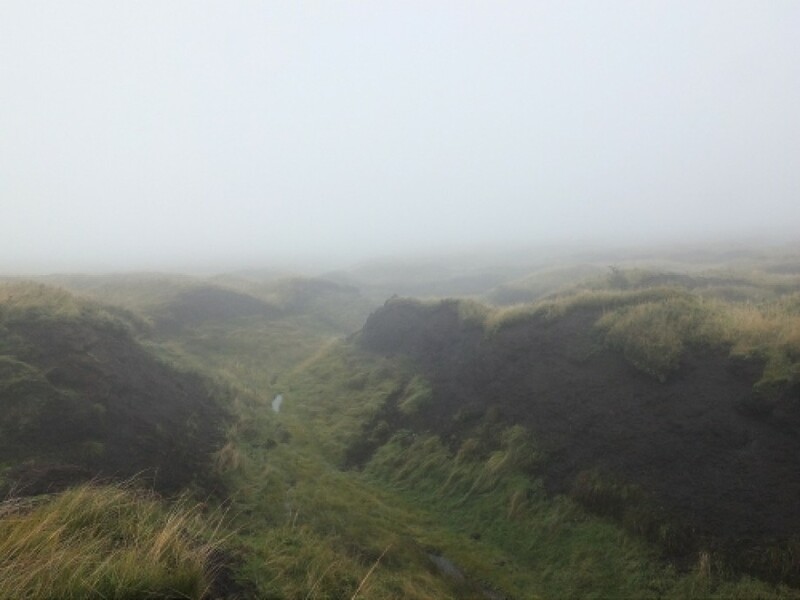 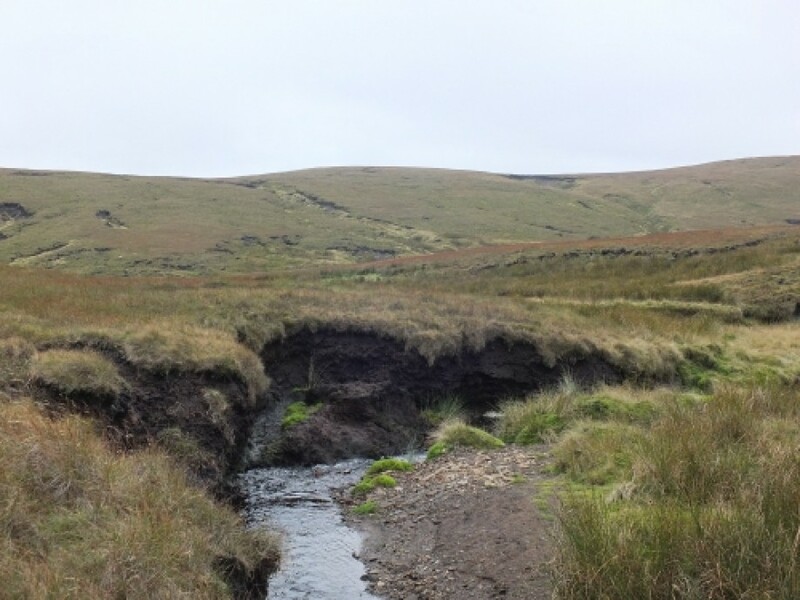 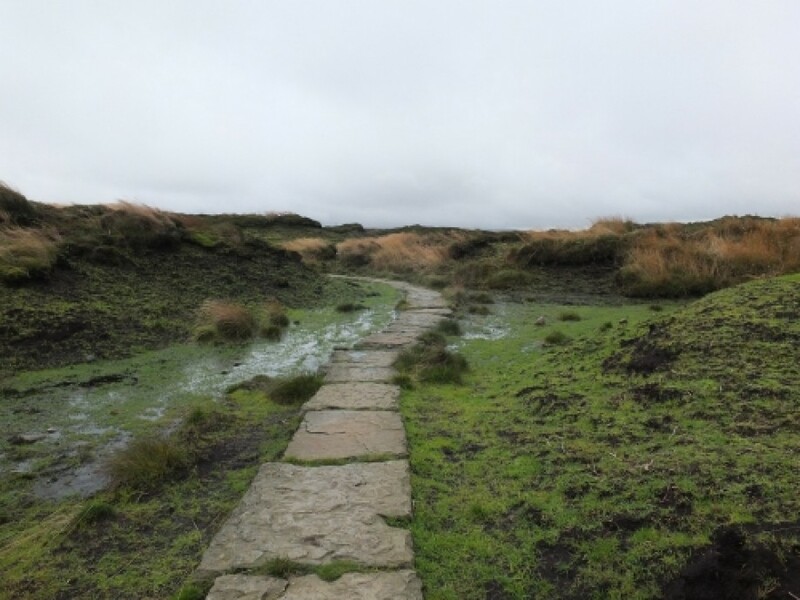 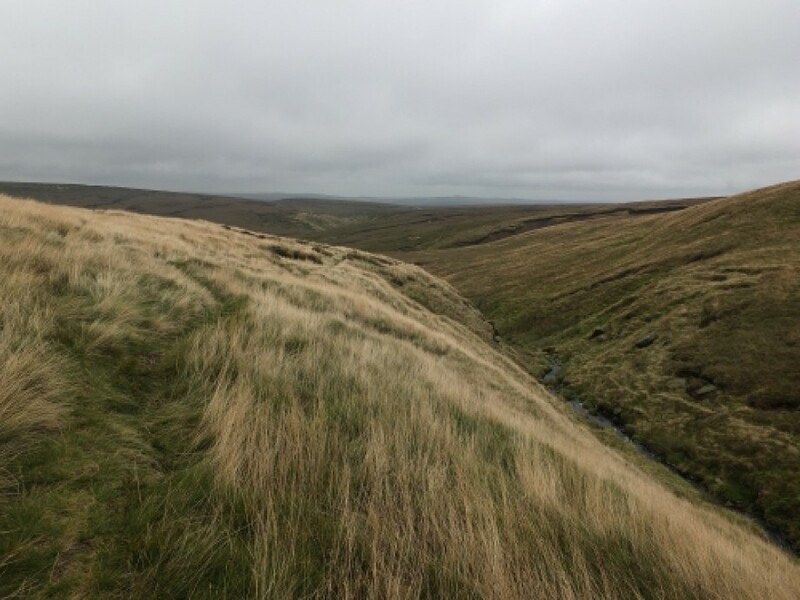 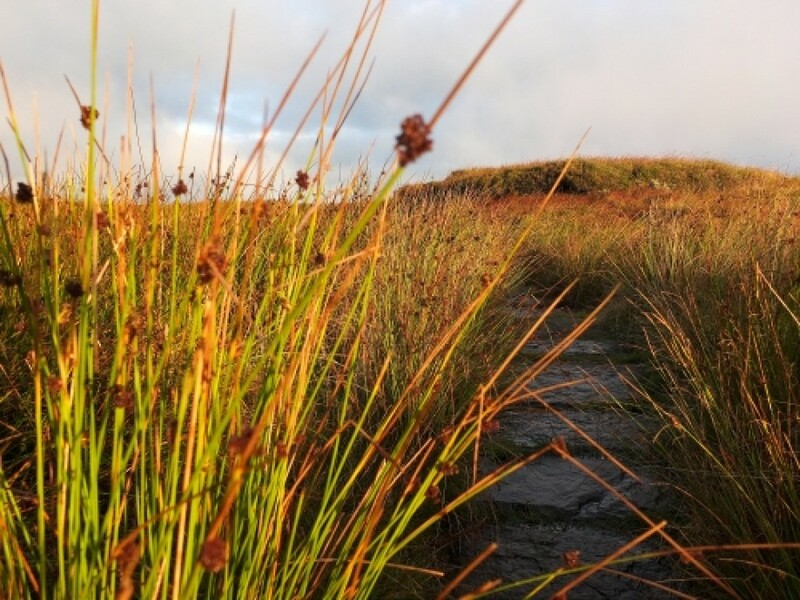 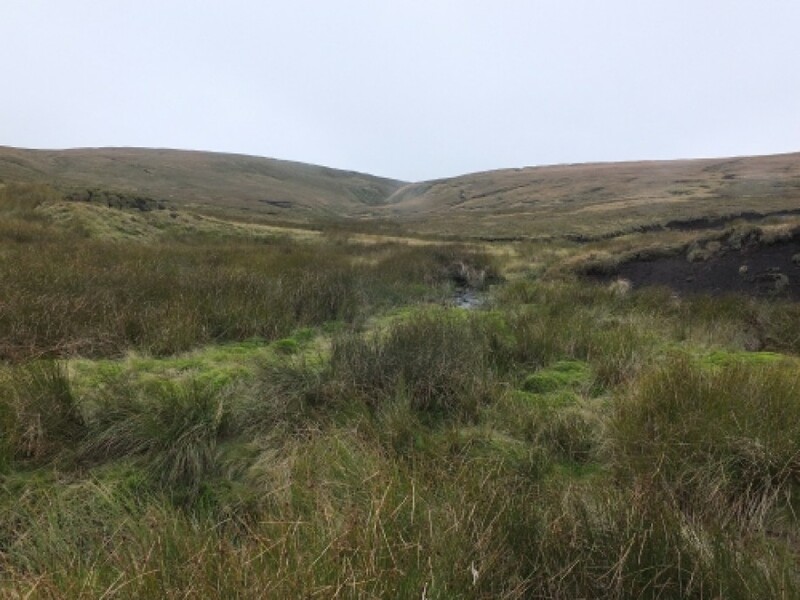 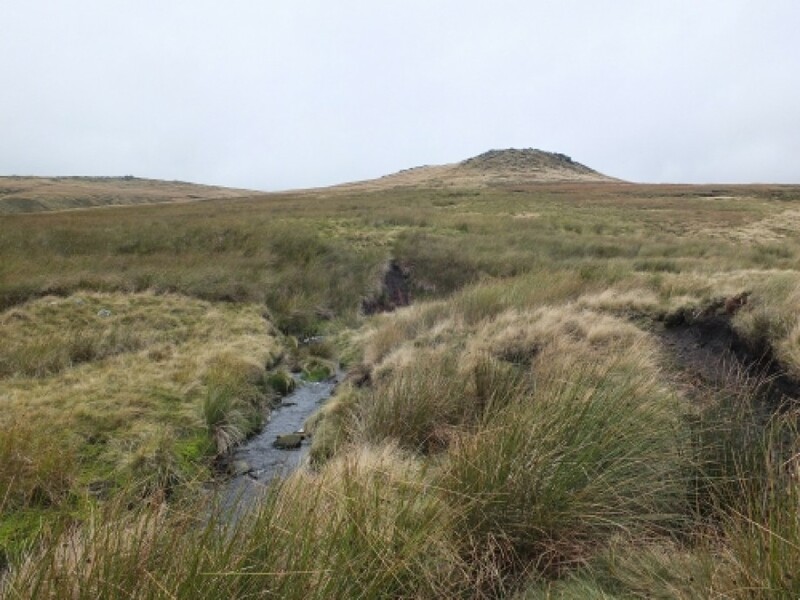 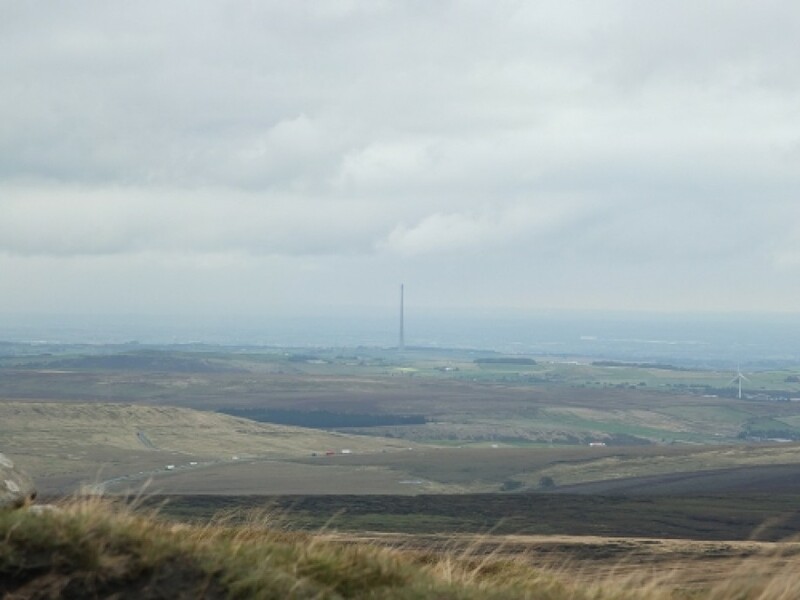 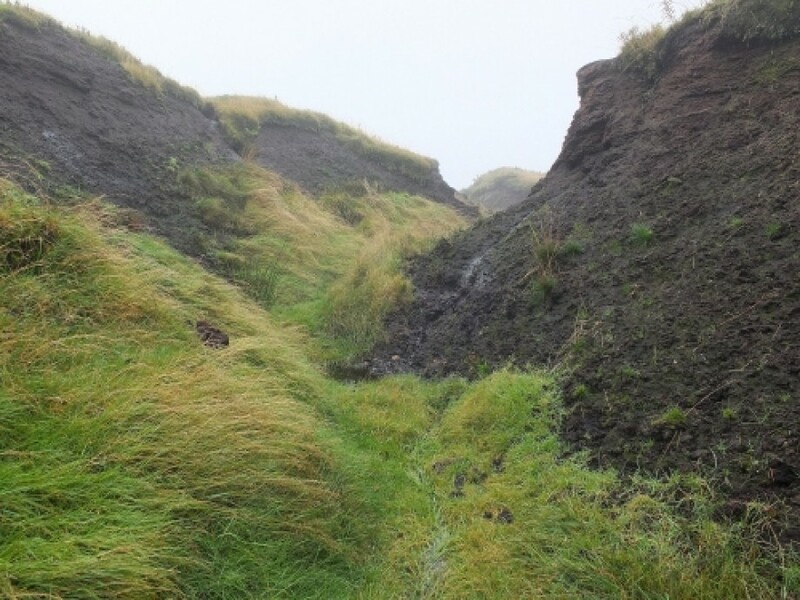 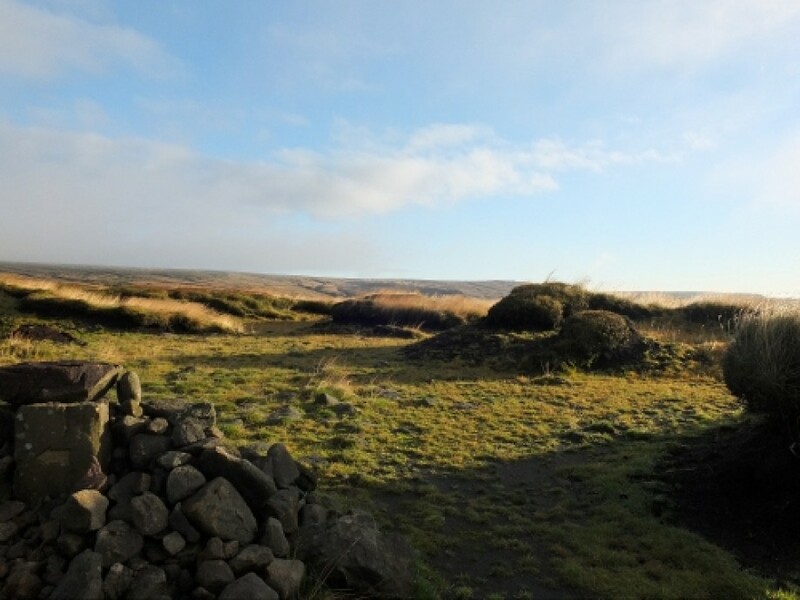 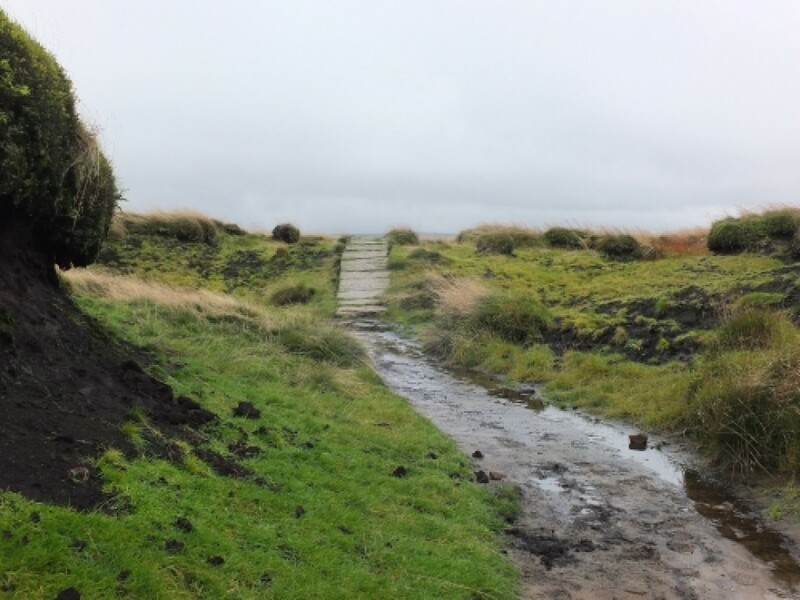 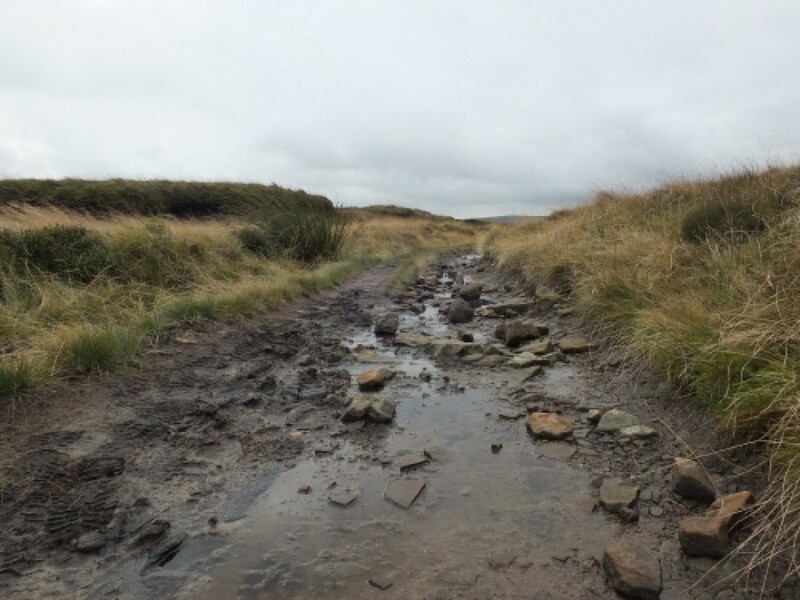 If you aren't used to the moors , don't be fooled by the ease of the Pennine Way . 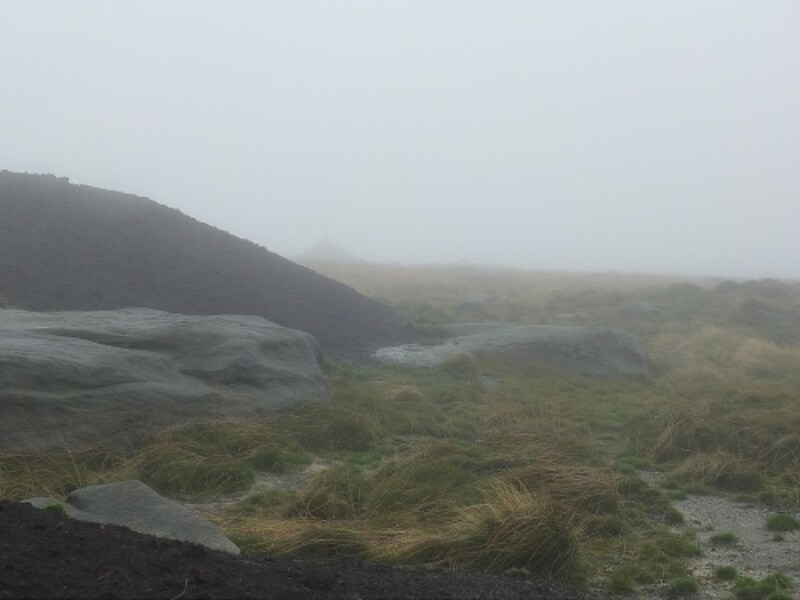 In these conditions familiar landmarks soon disappear (try looking for the Hern Stones on one of my photos) , and the temperature drops markedly . 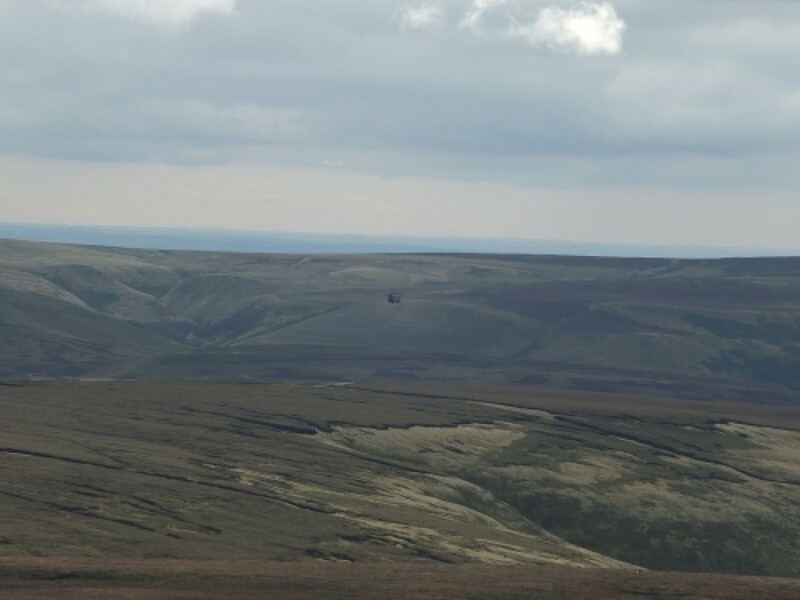 And the solution isn't 'Oh well , it's OK - I've got a phone signal so we can ring if we get lost ' as I once overheard up here - not to my mind anyway .